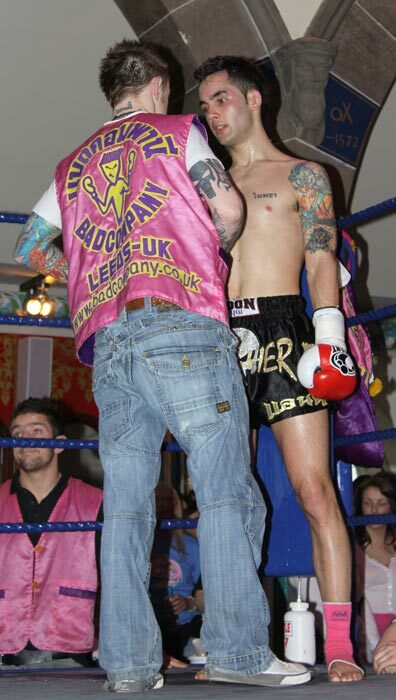 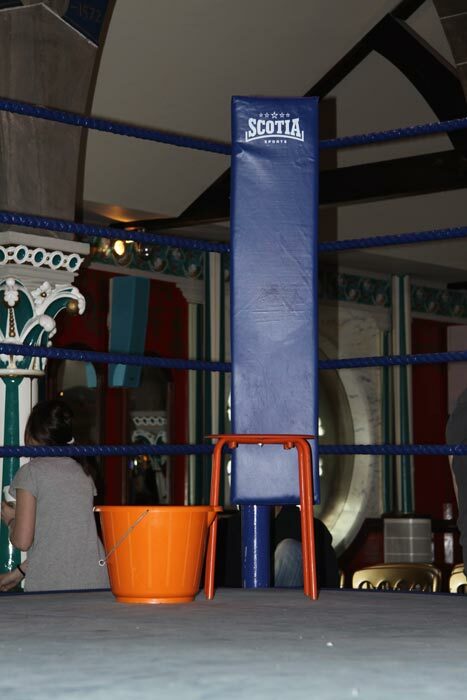 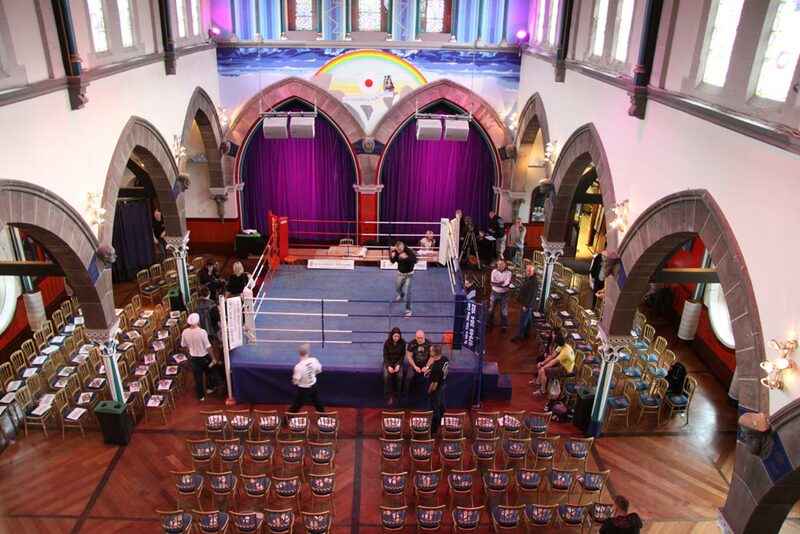 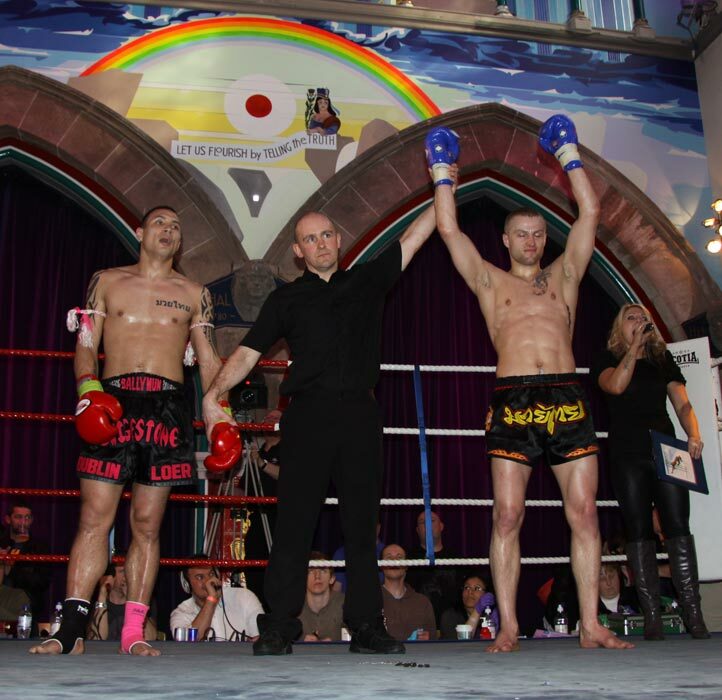 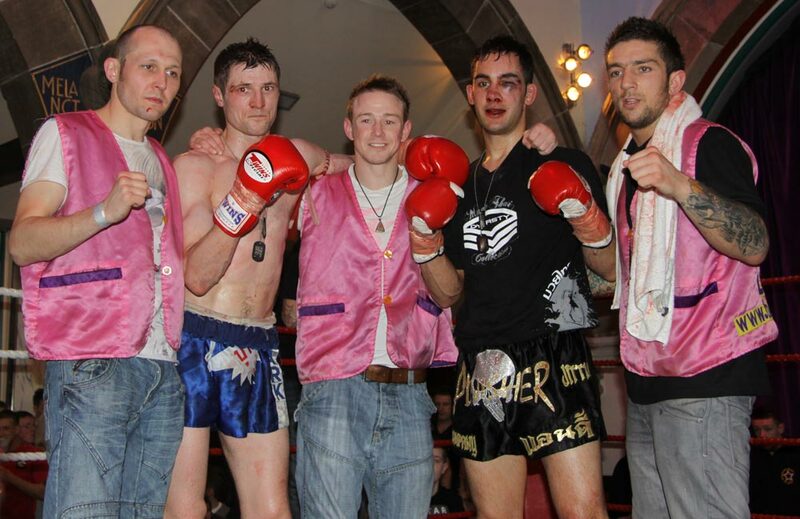 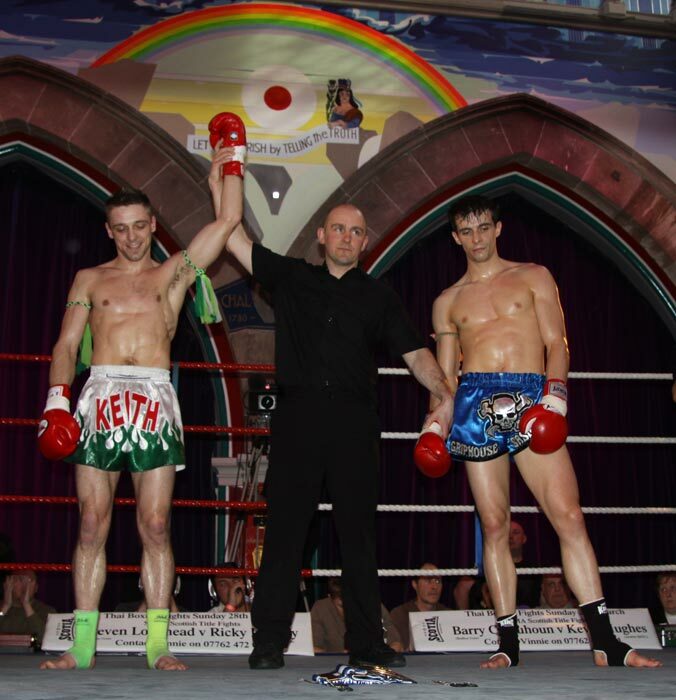 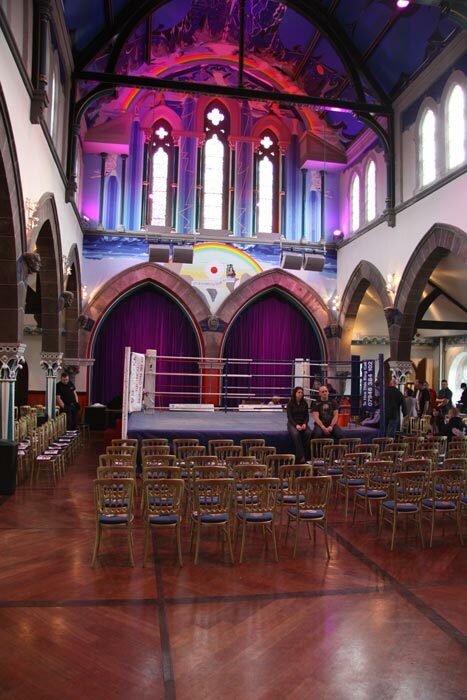 Shaping up to be a cracking fight, Keith took a stoppage win in the second round. 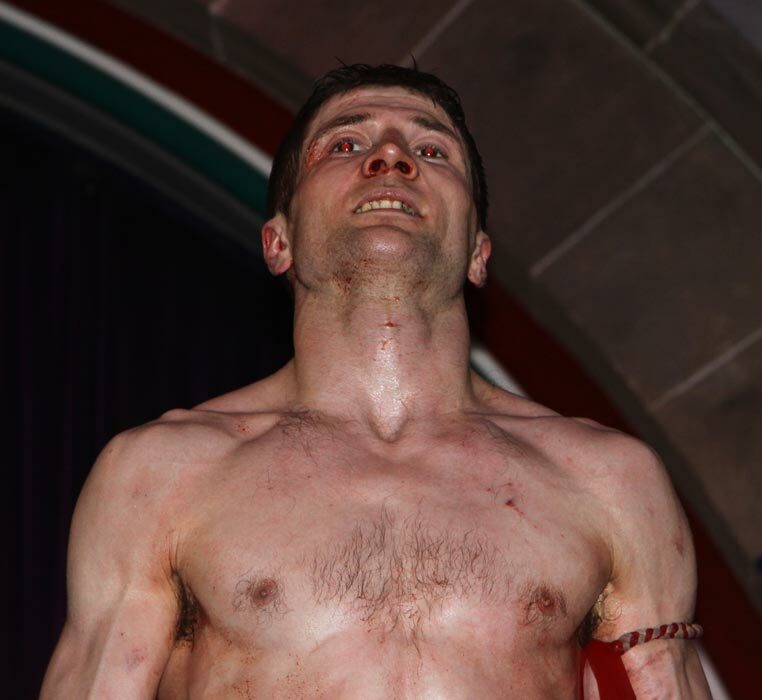 A tremendous display from both fighters over 5 rounds. 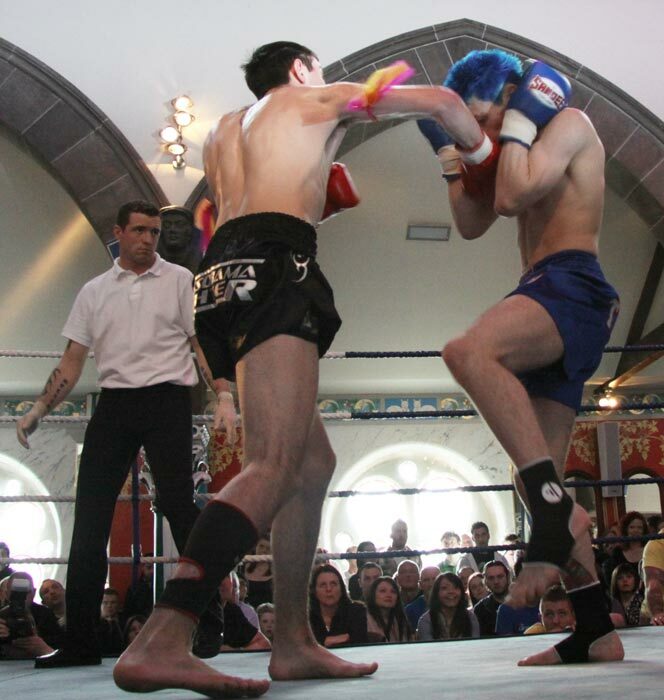 John was looking sharp throughout despite sustaining a foot injury early on but Gordon was scoring too well, too often. 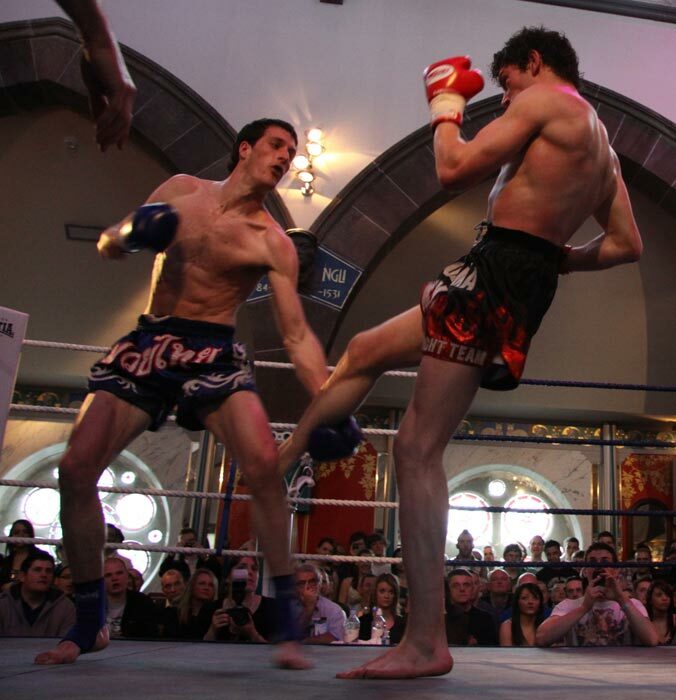 Congratulations on another successful defence! 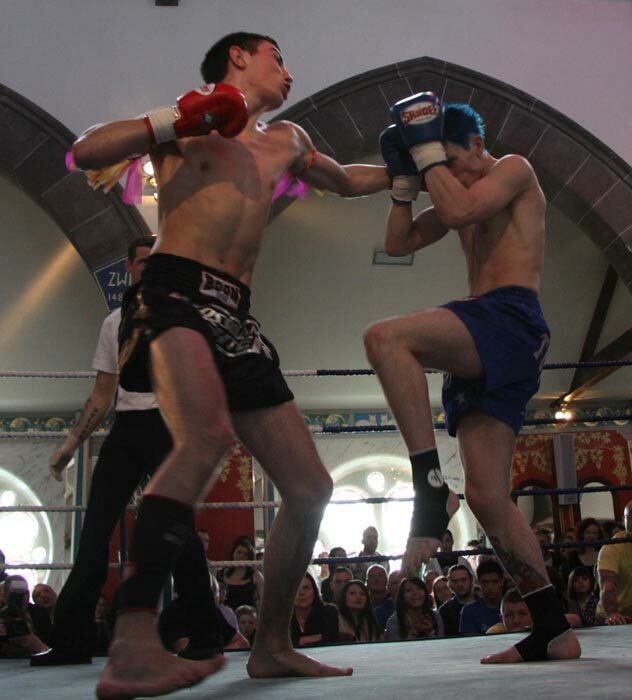 A confident, composed Jordan overpowered, outscored and elbowed a game Choquart into submission, finally finishing him off with a huge right hand. 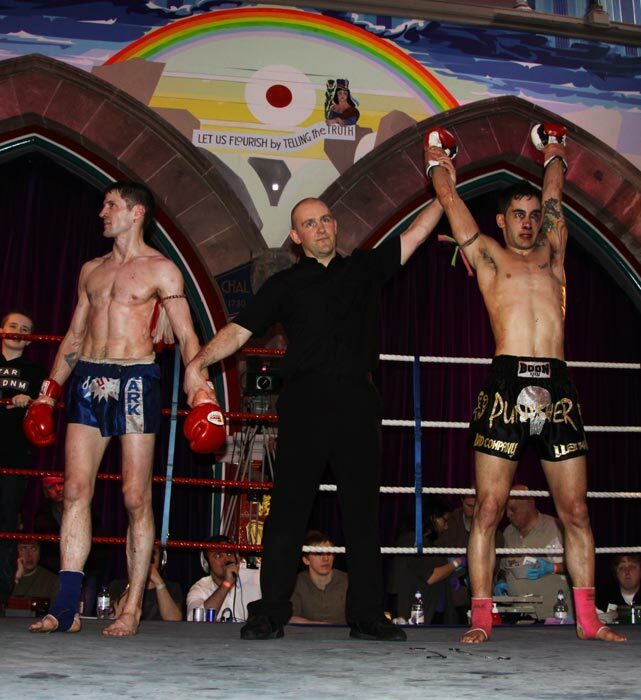 R2 KO win to Jordan. 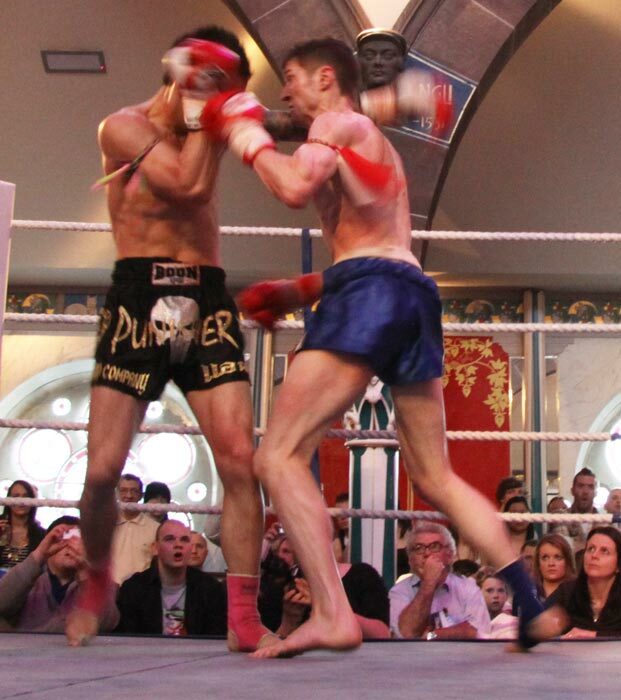 Both fighters brought heavy hands, preparedness and power to this bout. 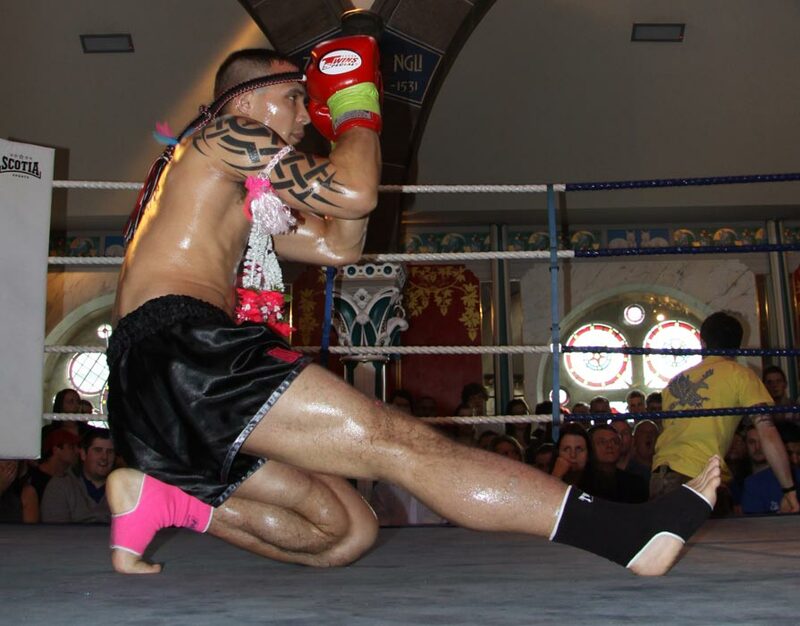 Adrian found the keys to success using relentless knees in the third to stop Darran. 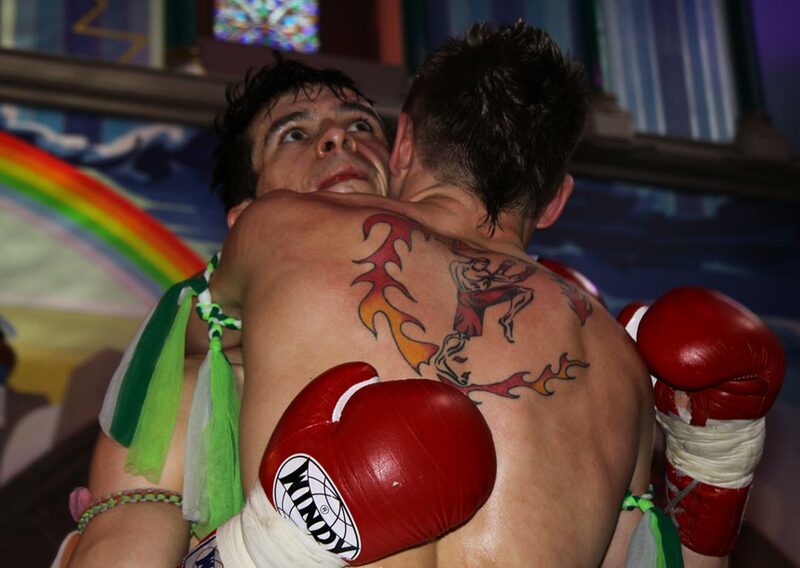 Unquestionably fight of the night, this amazing bout at one point saw both fighters being checked over by the medical team for cuts. 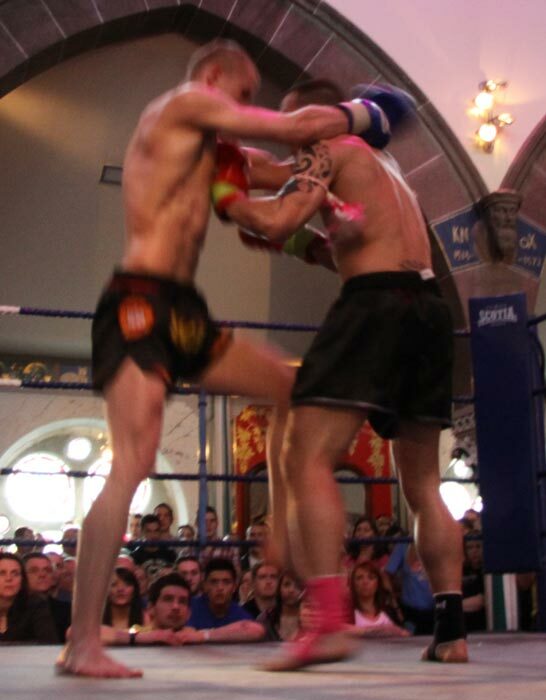 Neither gave an inch and both found gaps in the other's guard. 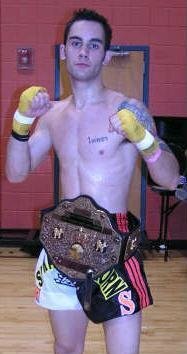 DeLuca took the split decision win. 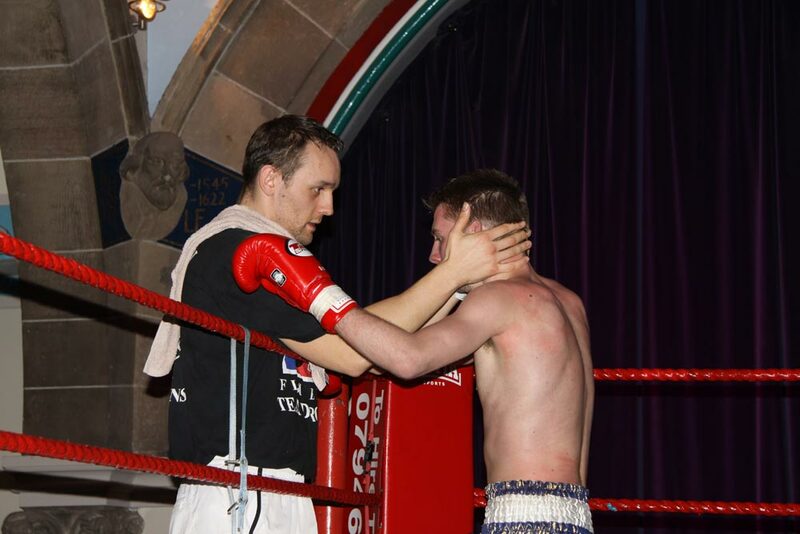 Starting at a pace which suggested the fight wouldn't last long, these two were certainly there to perform! 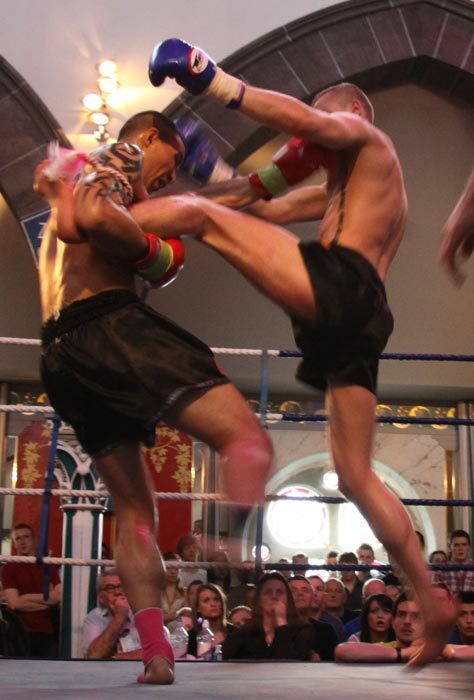 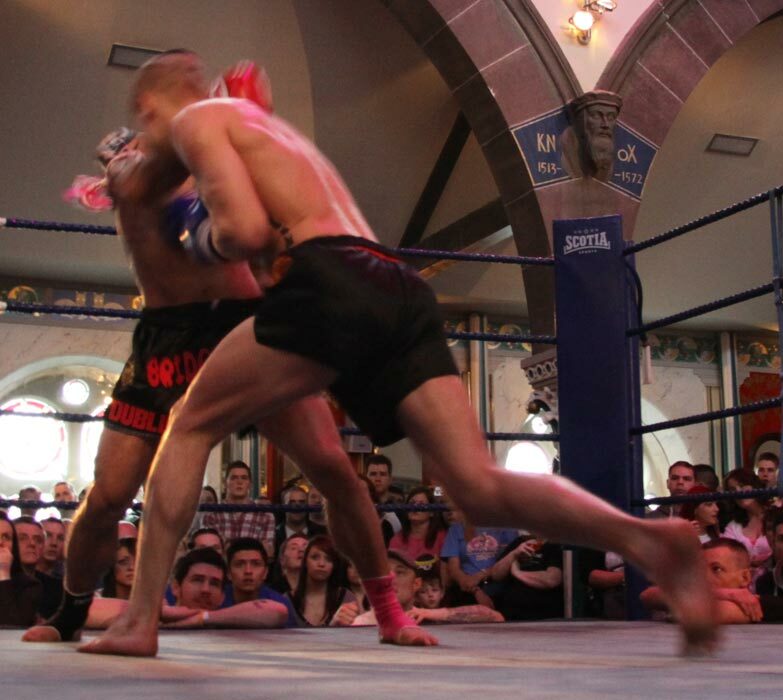 Stuart landed a huge knee to the body which was the beginning of the end for Geareth. 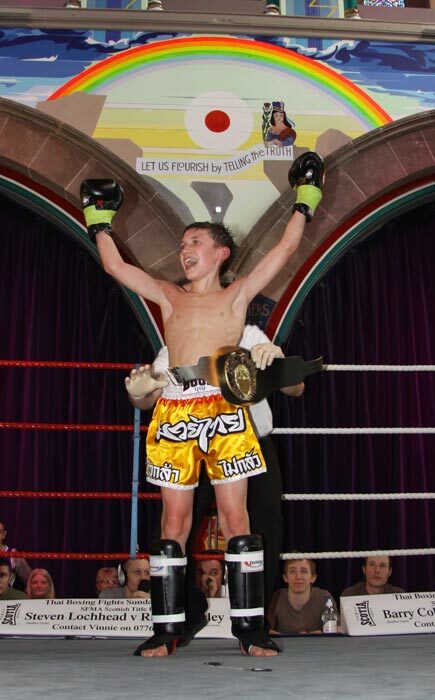 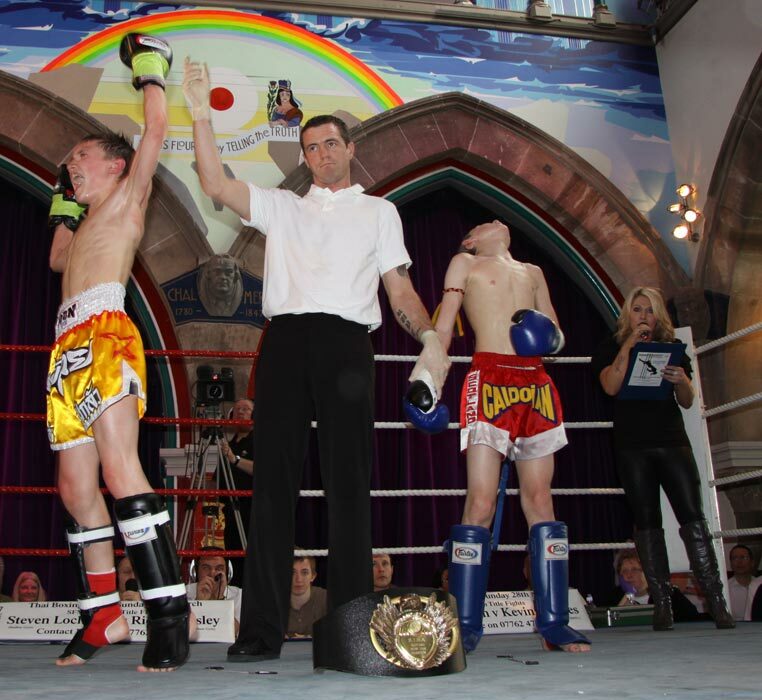 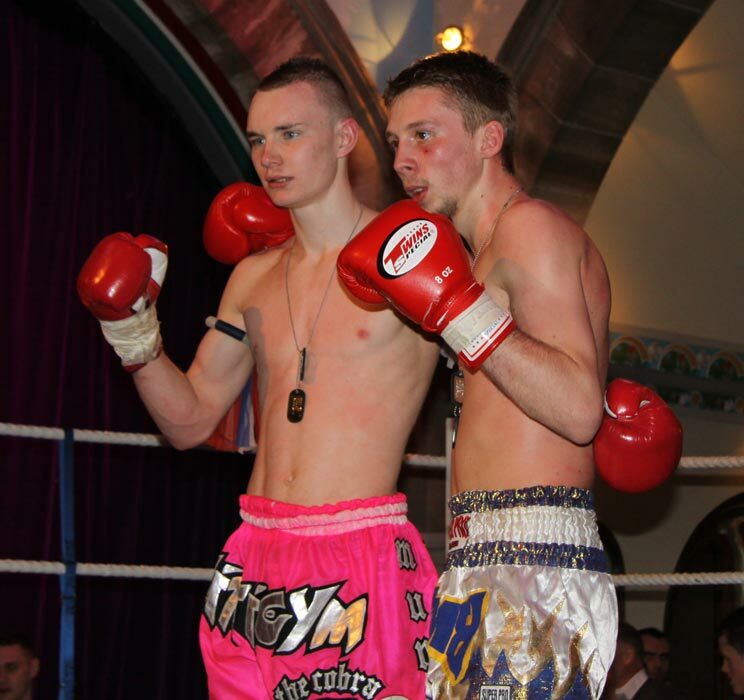 Stoppage win for Stuart. 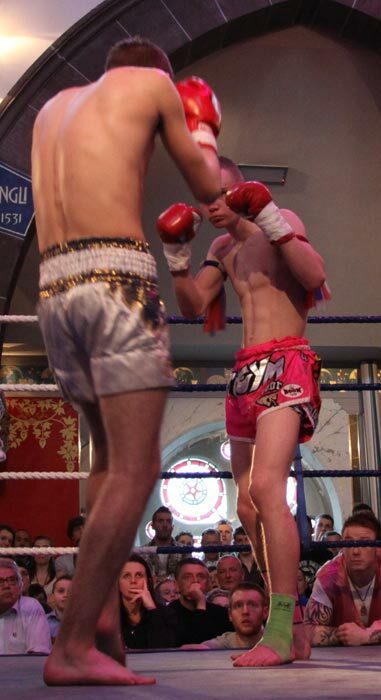 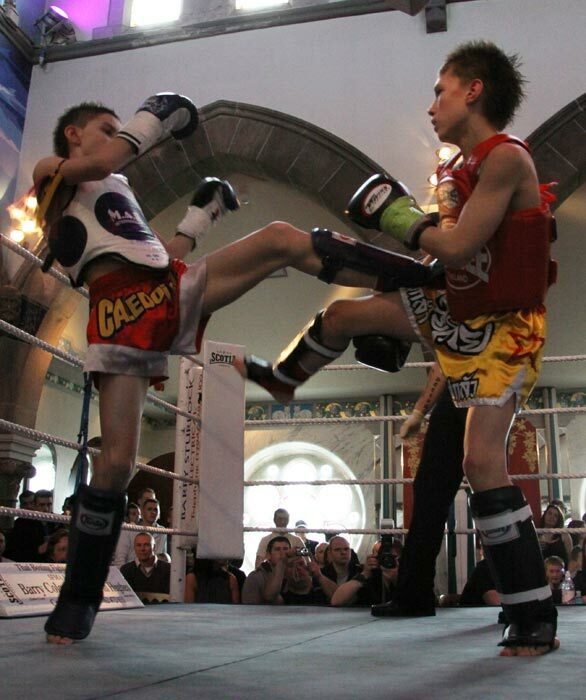 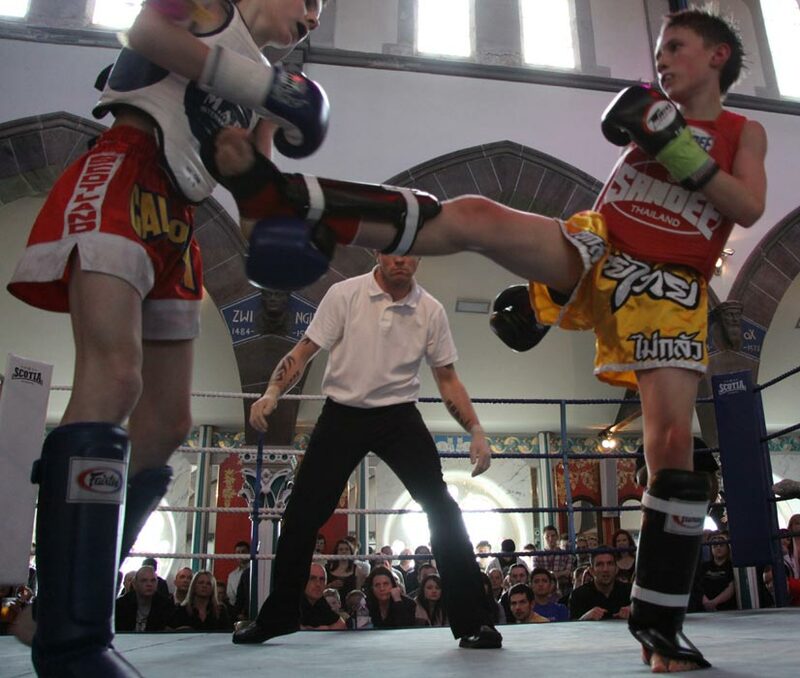 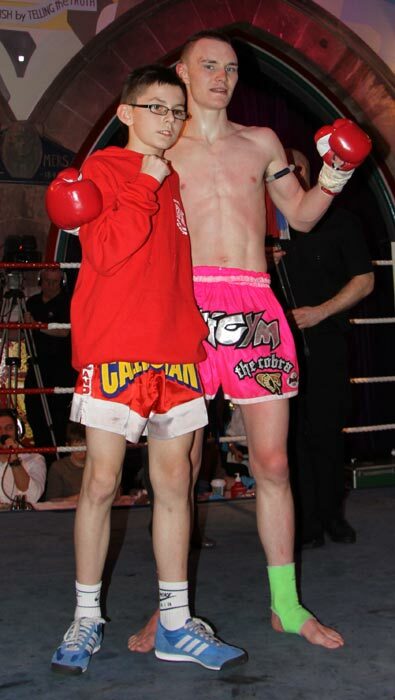 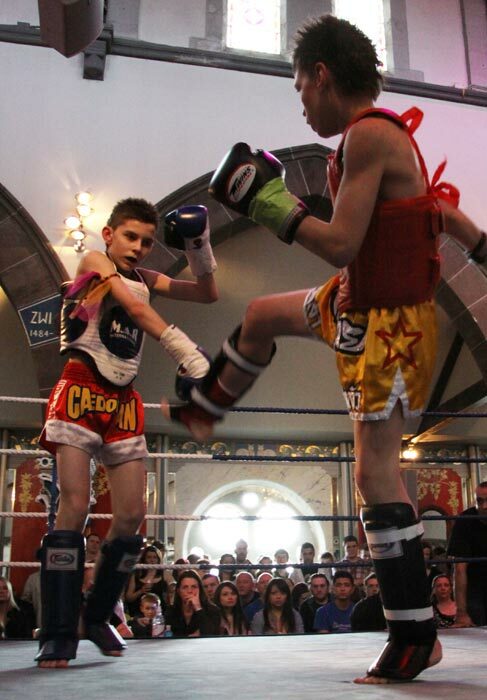 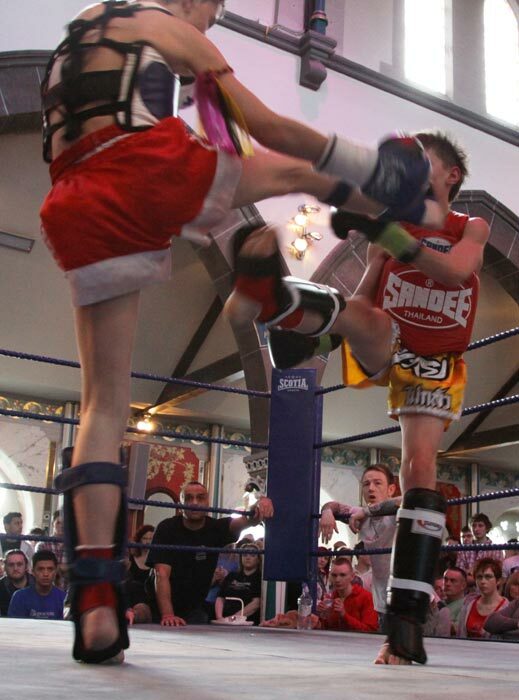 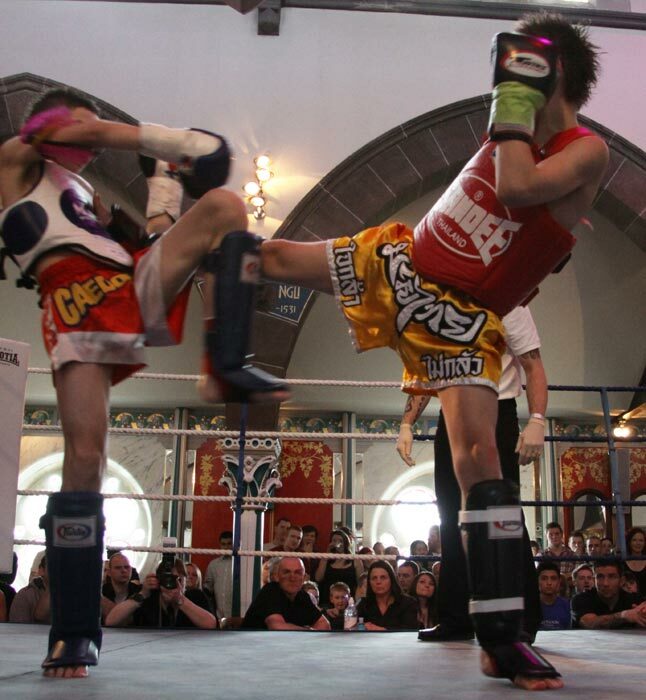 An awesome display from two young fighters. 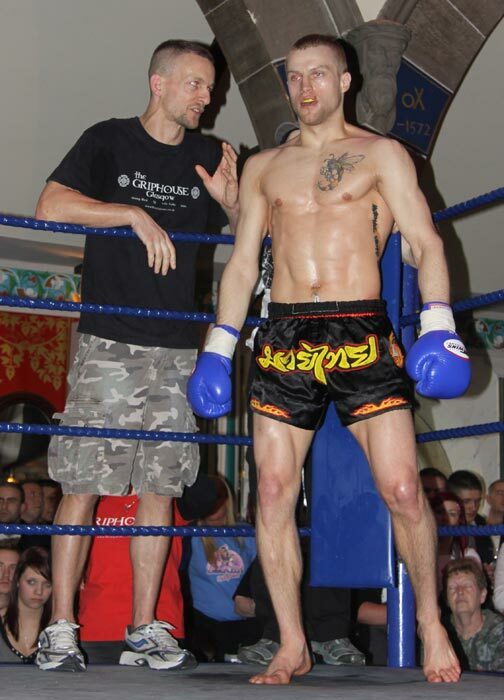 Both scored consistently well throughout and neither ever looked in any trouble. 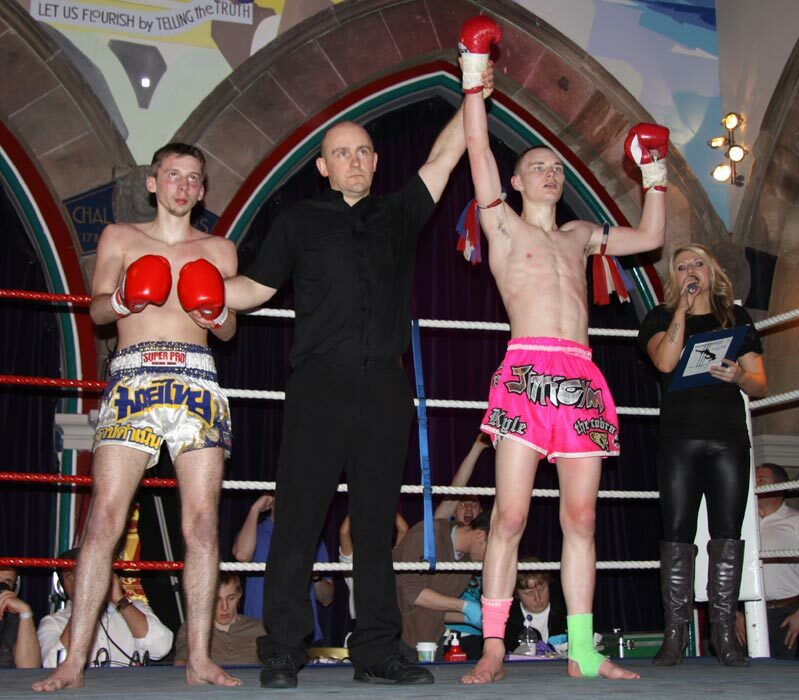 JP seemed to have the edge in strength and he was regularly having the better of the scoring exchanges which ensured his win. 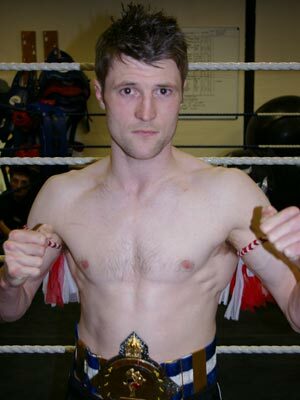 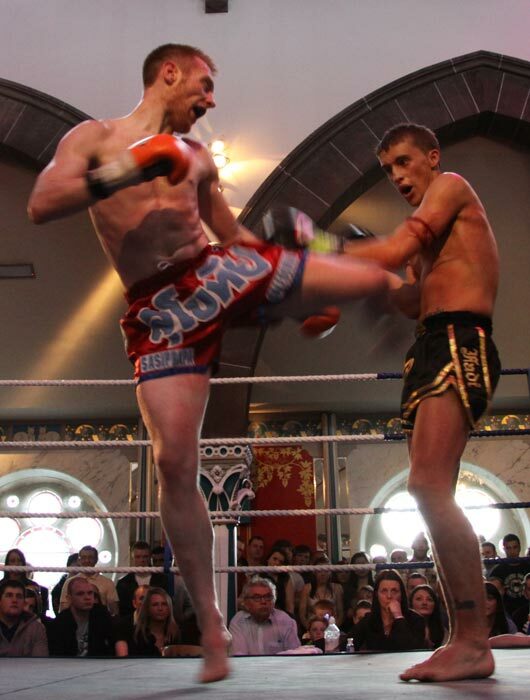 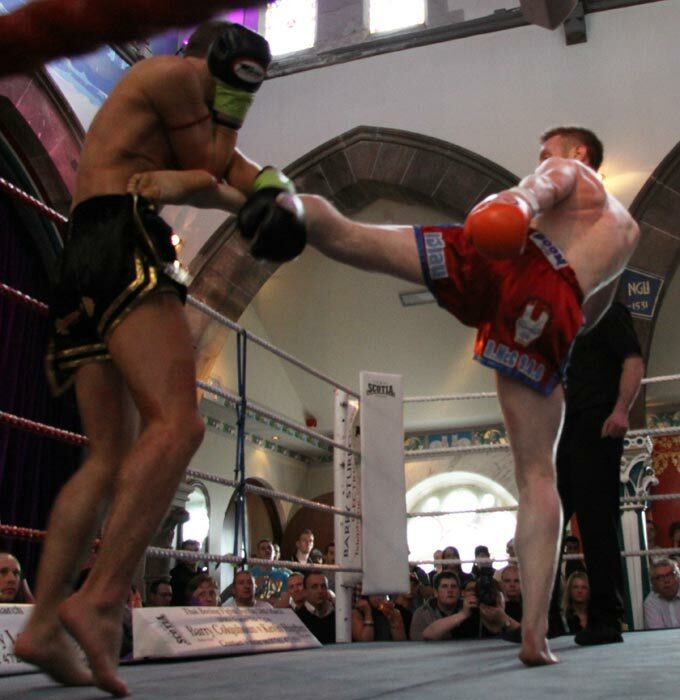 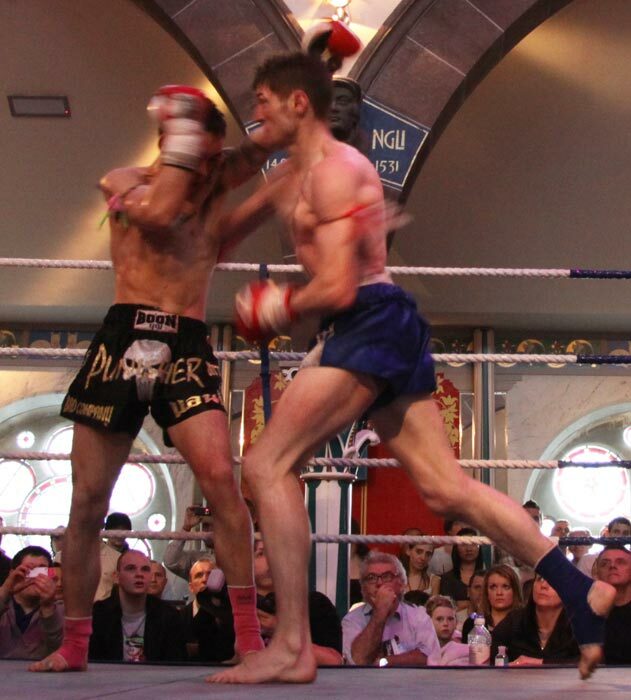 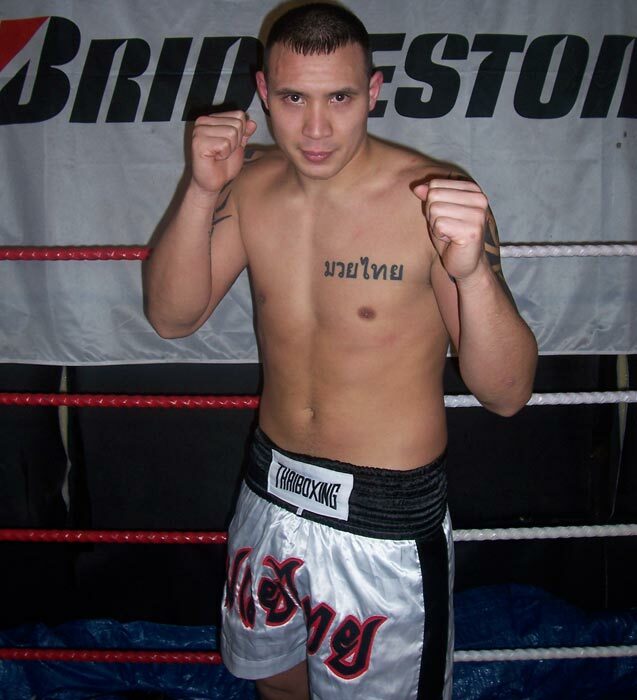 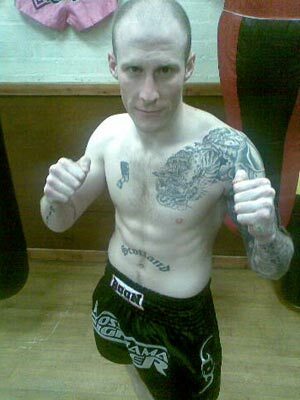 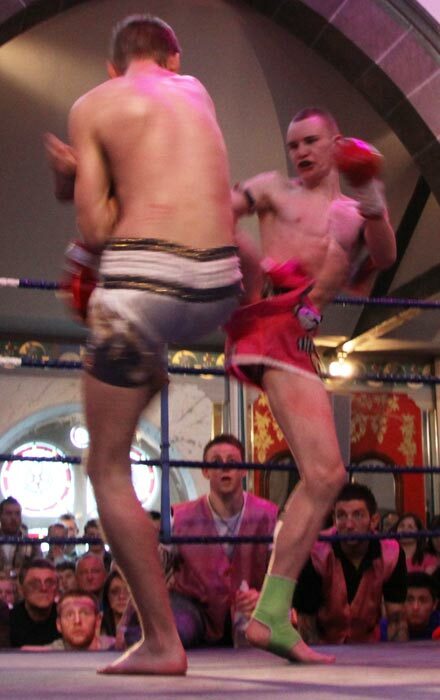 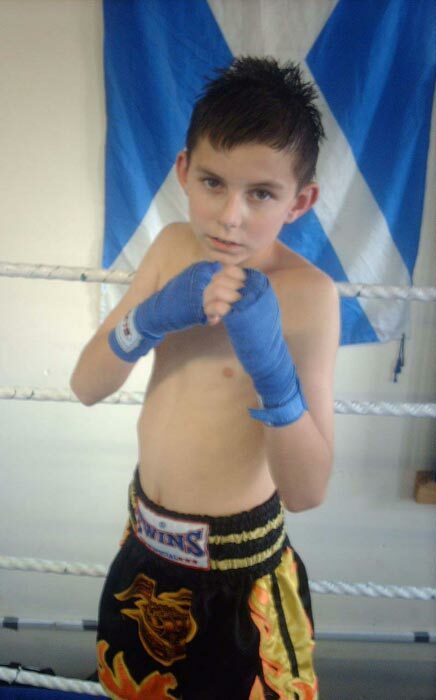 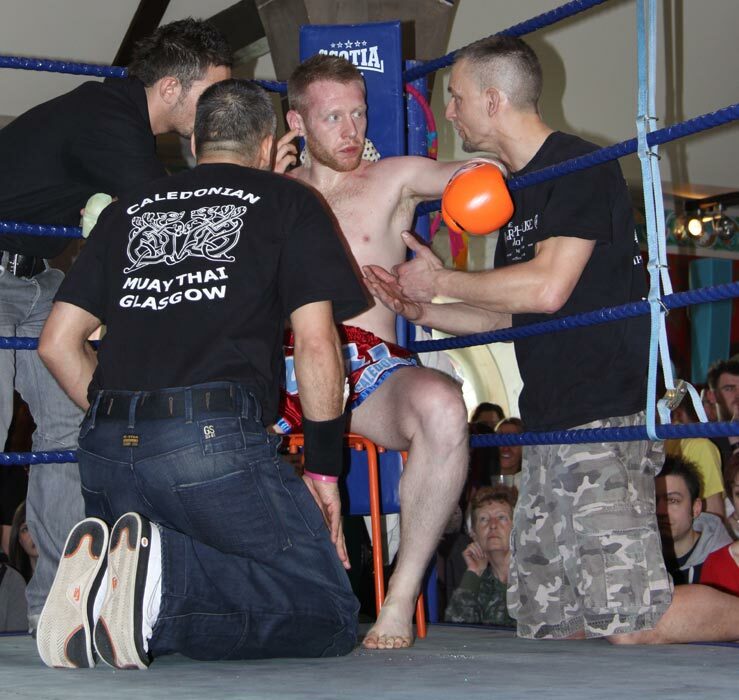 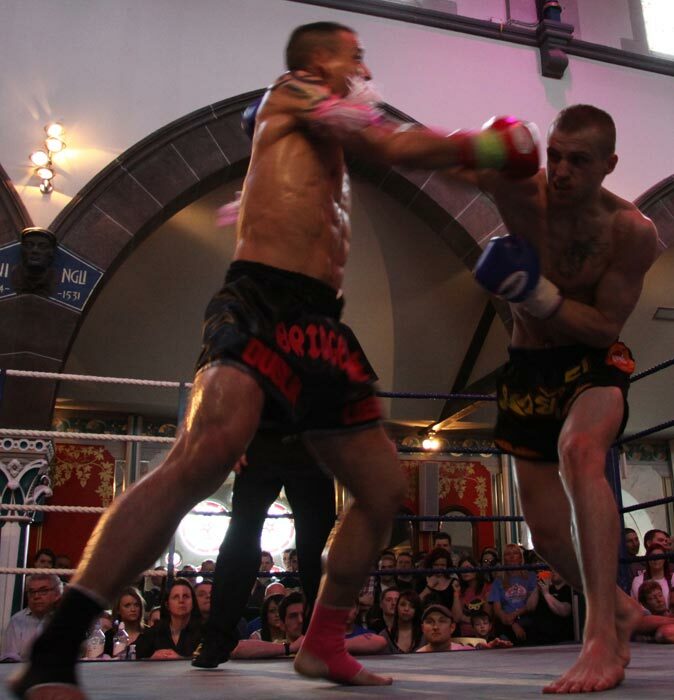 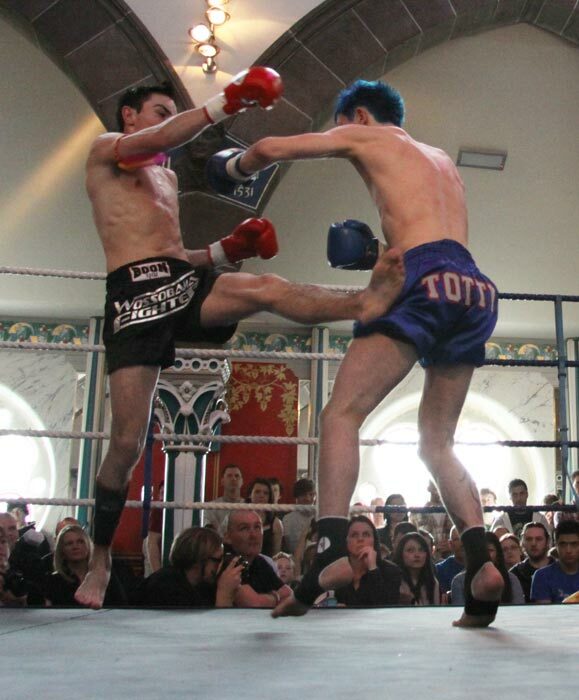 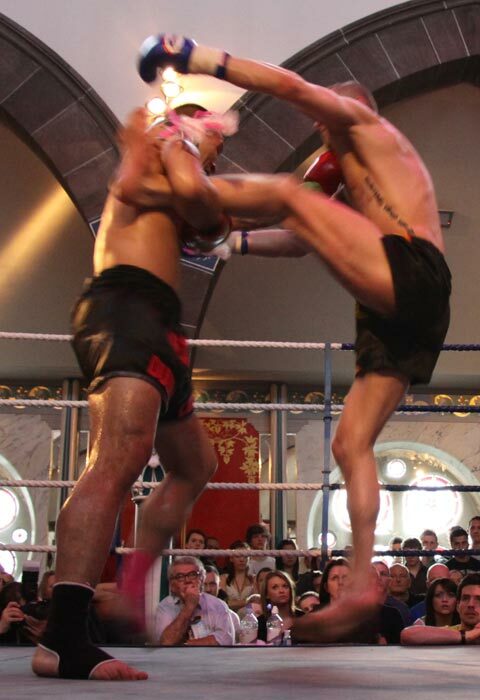 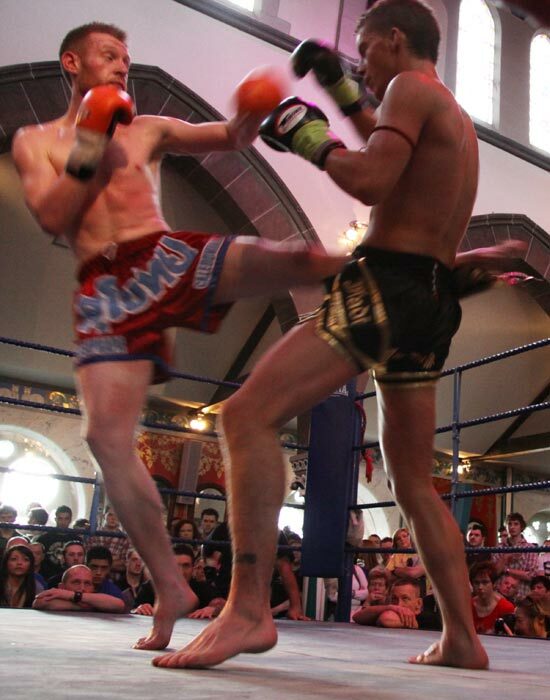 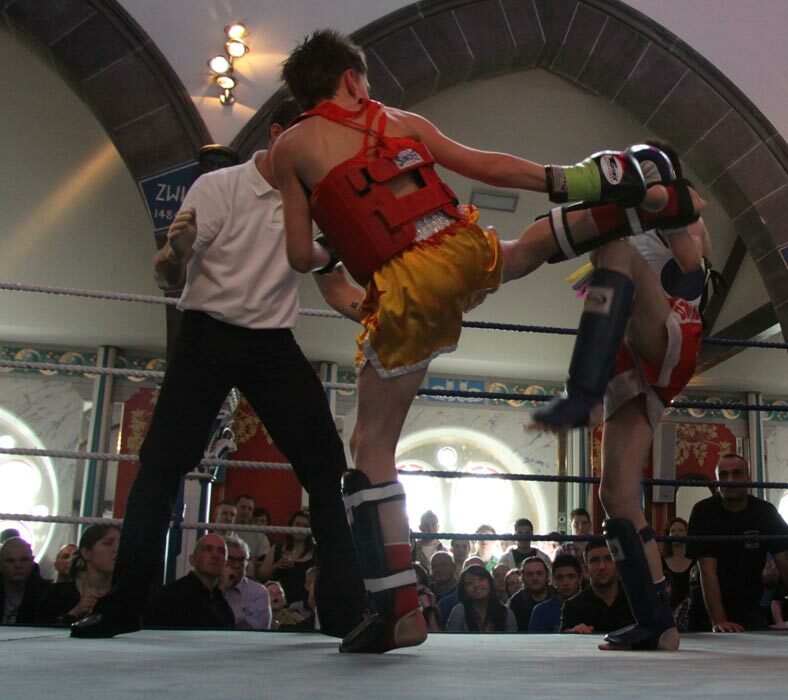 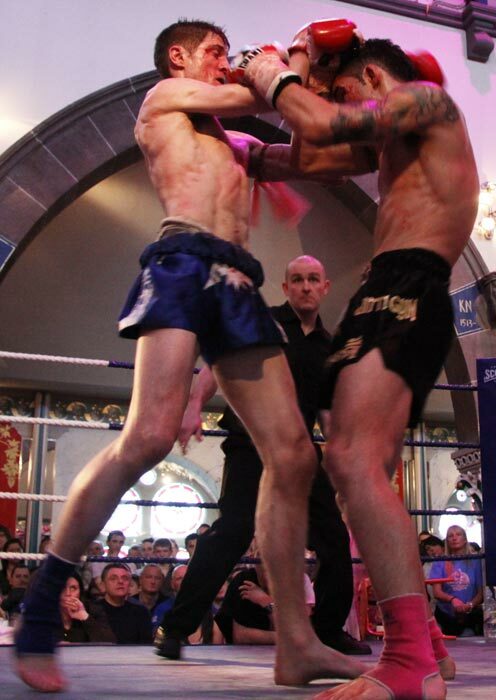 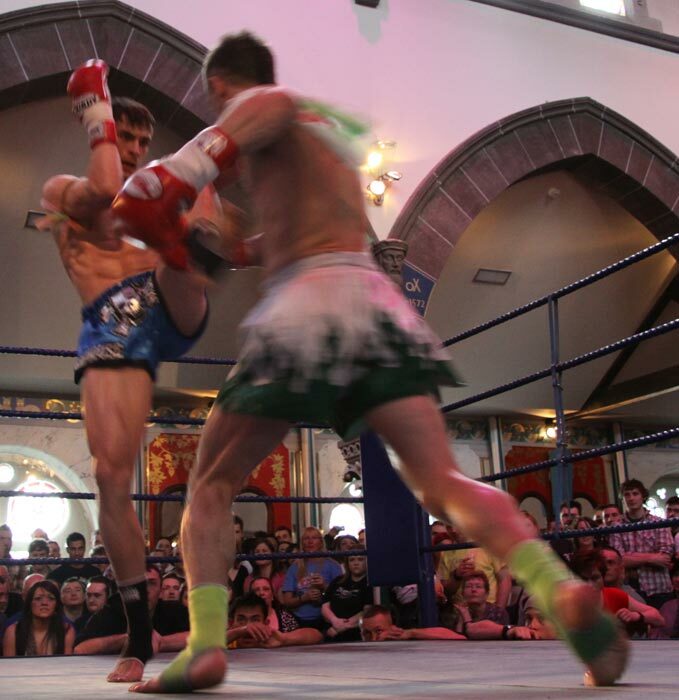 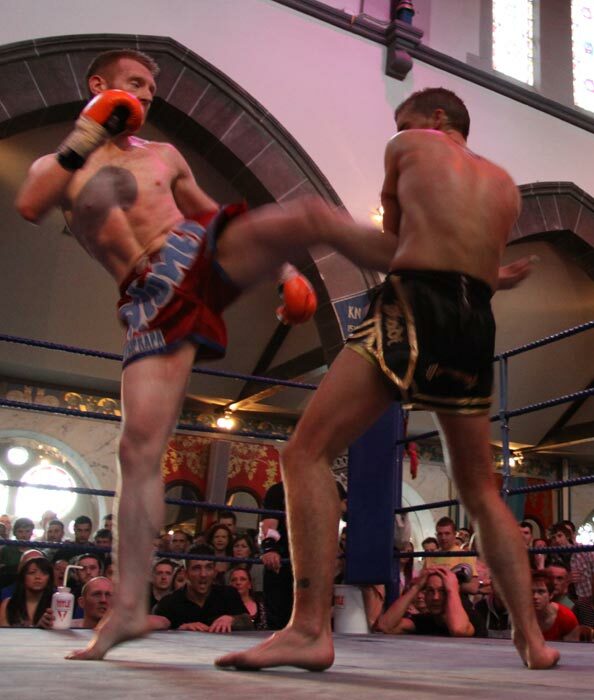 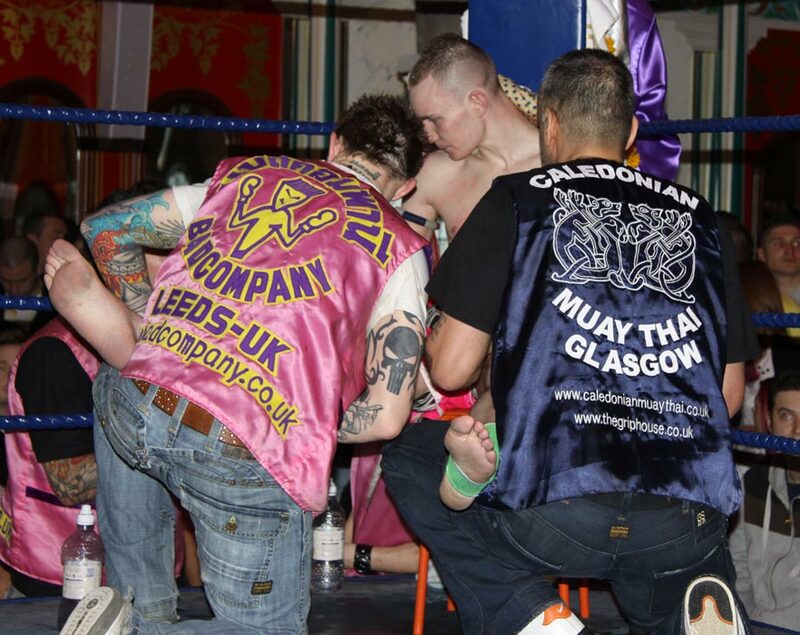 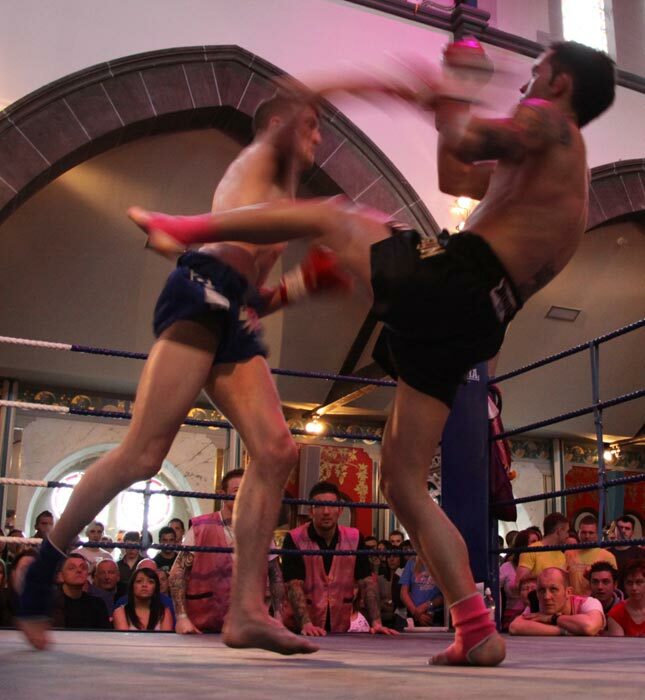 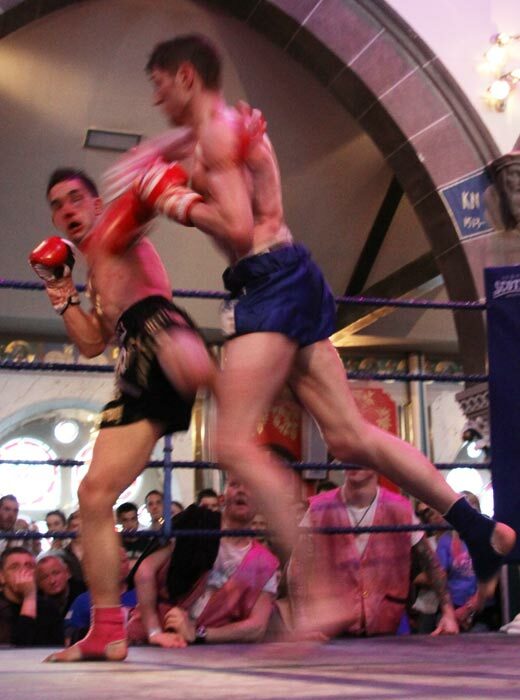 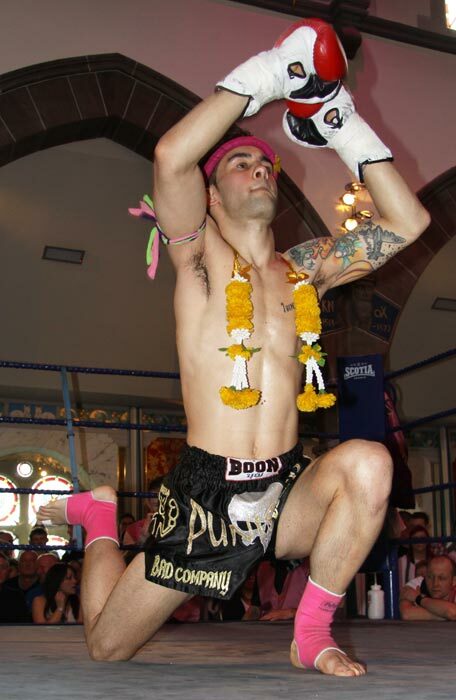 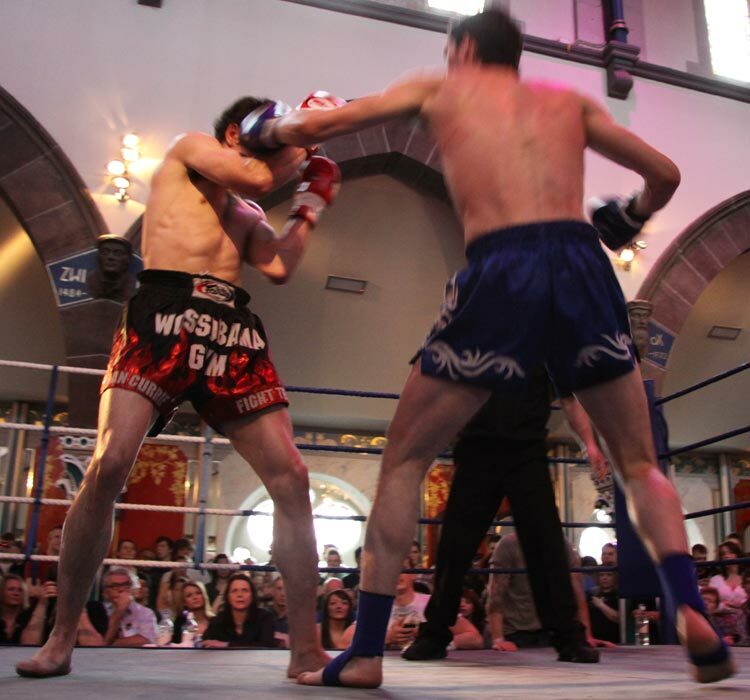 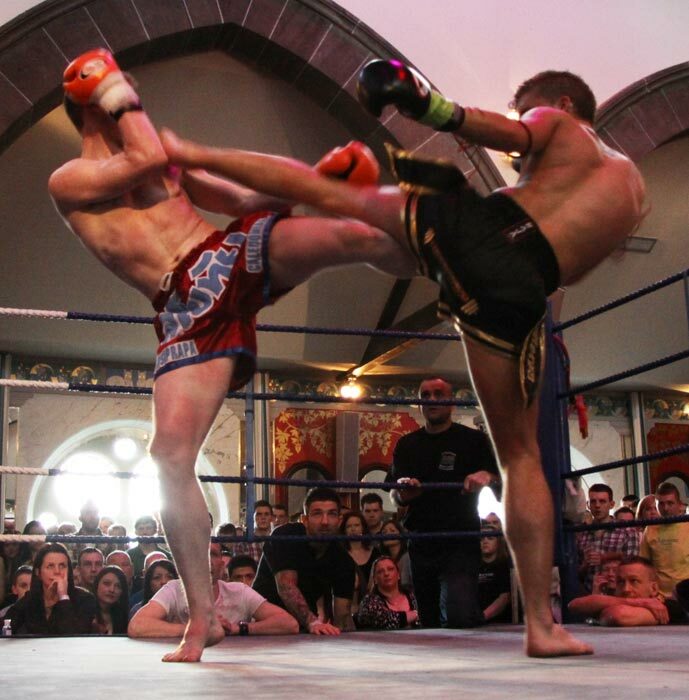 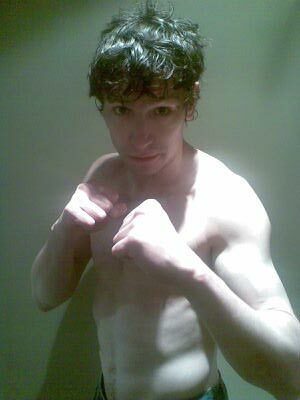 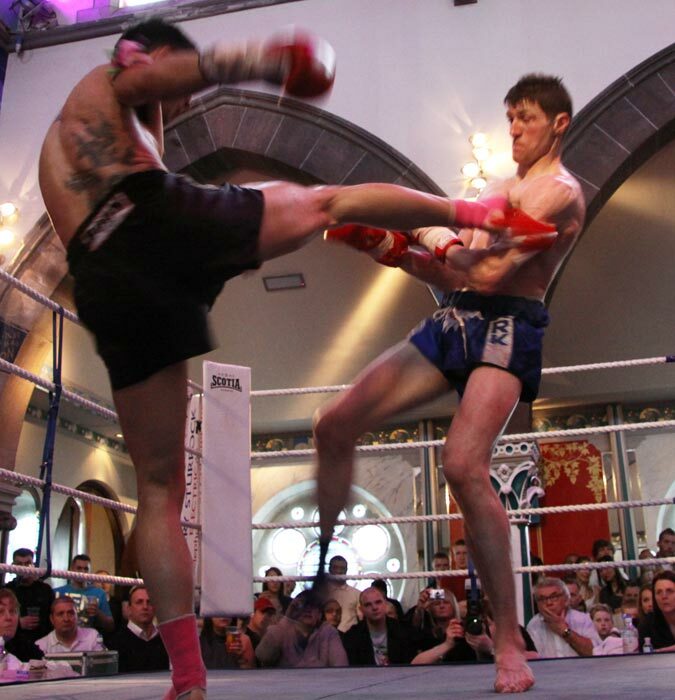 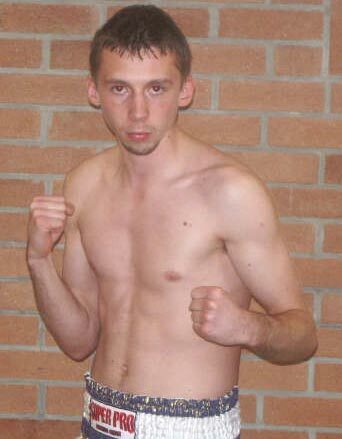 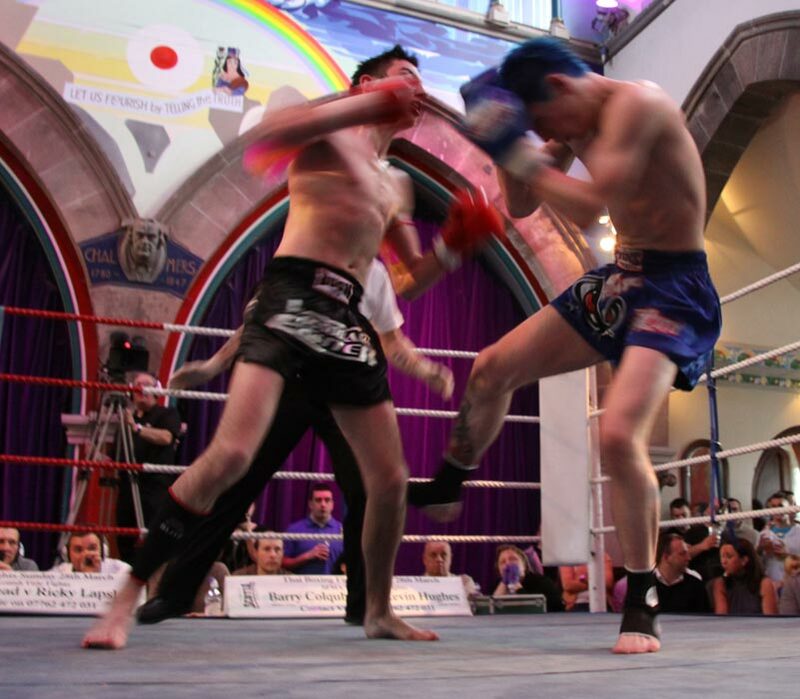 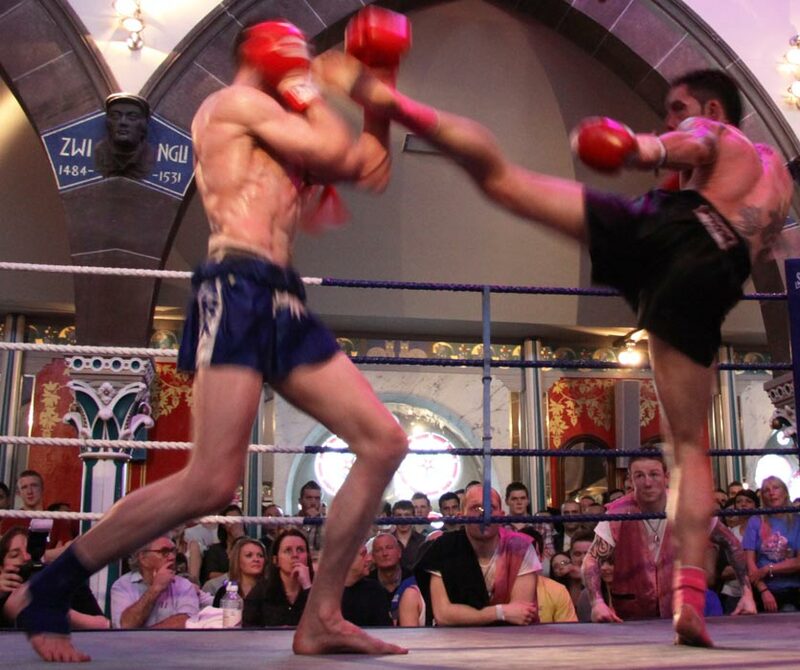 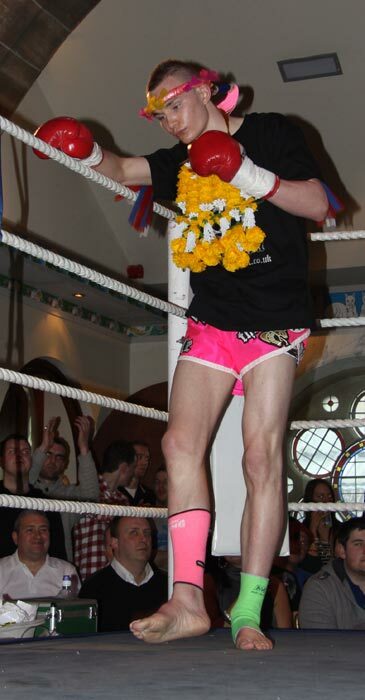 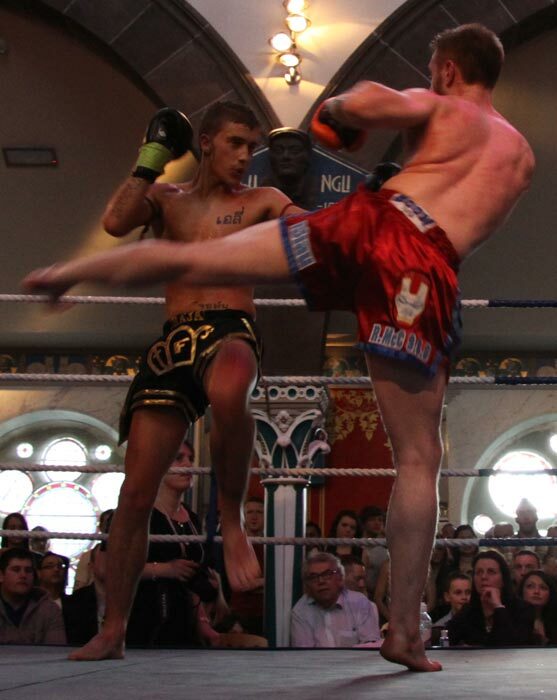 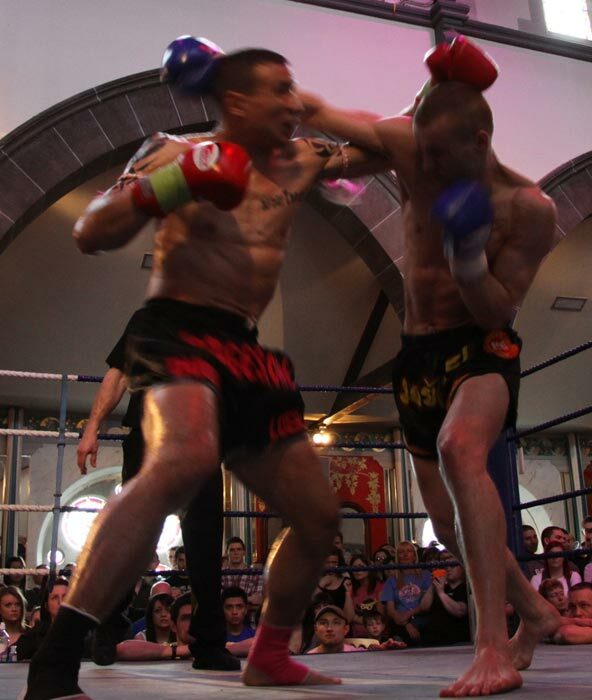 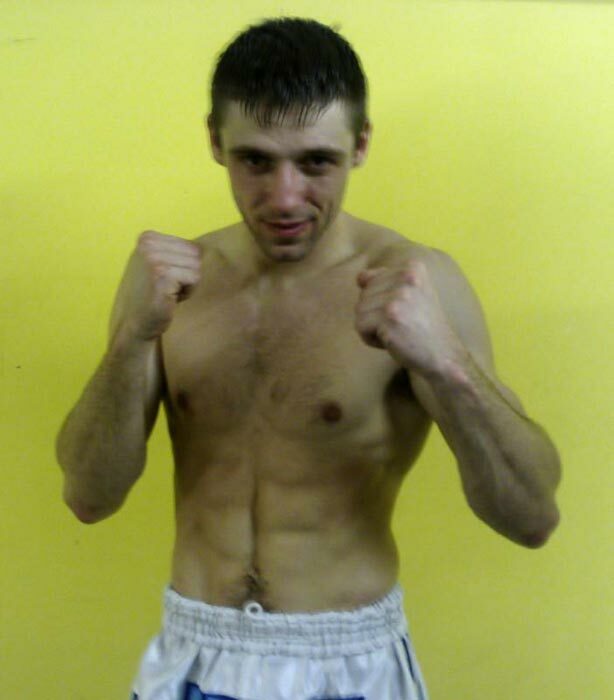 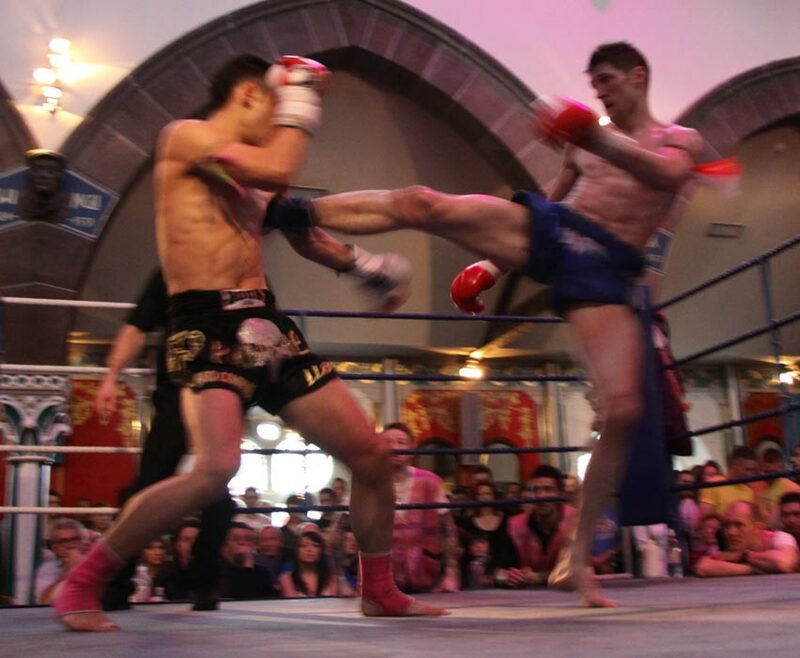 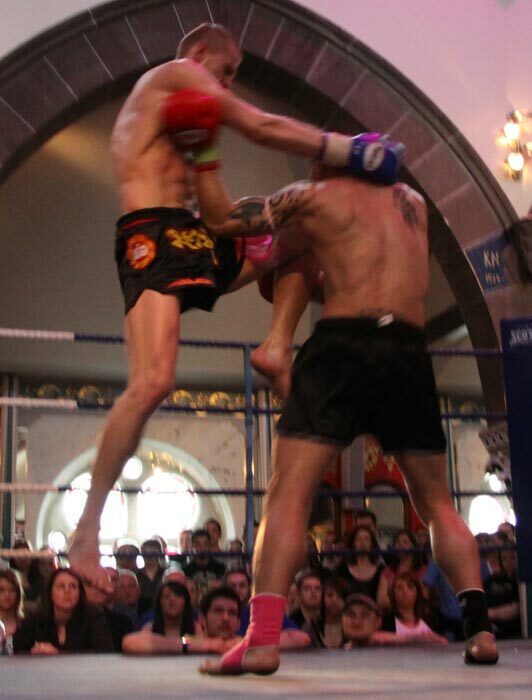 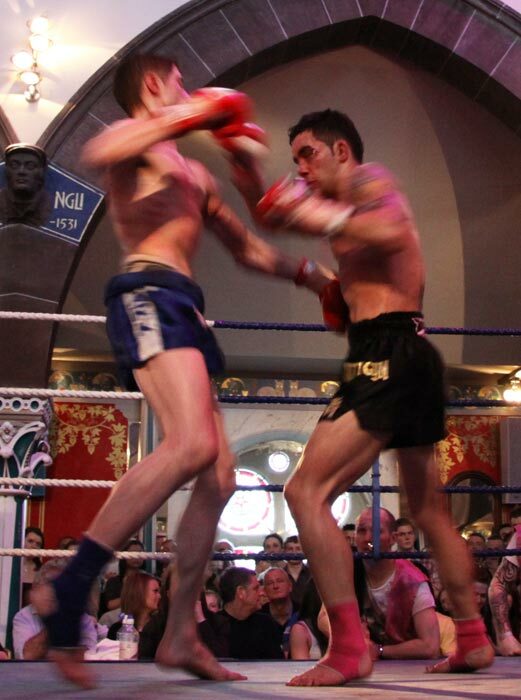 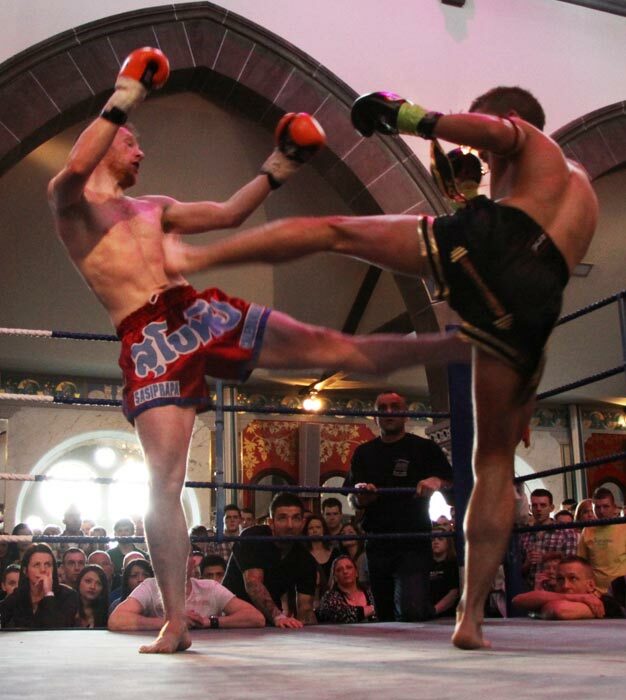 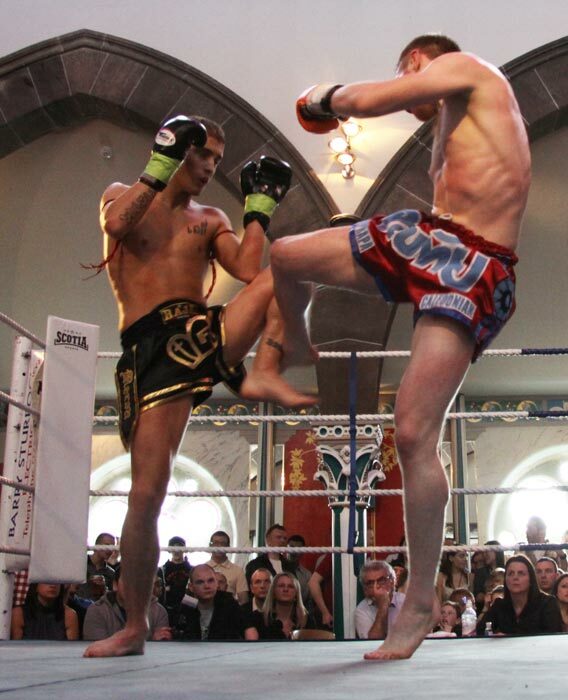 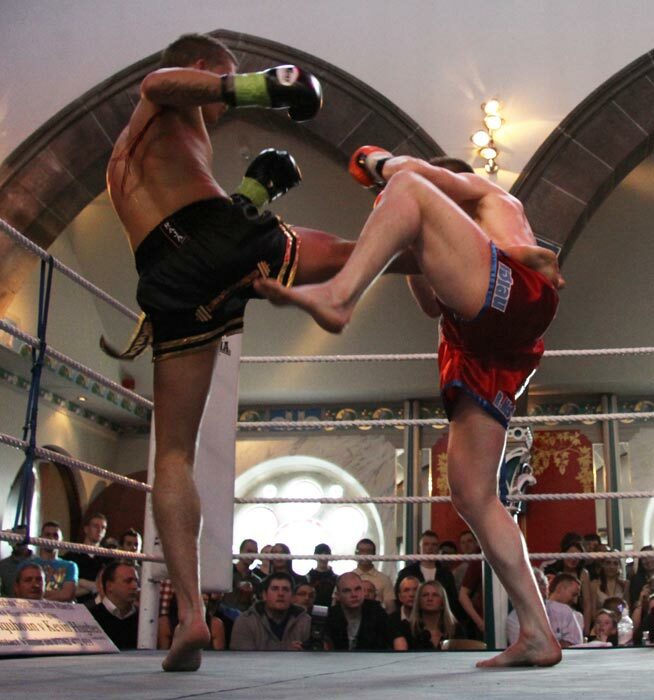 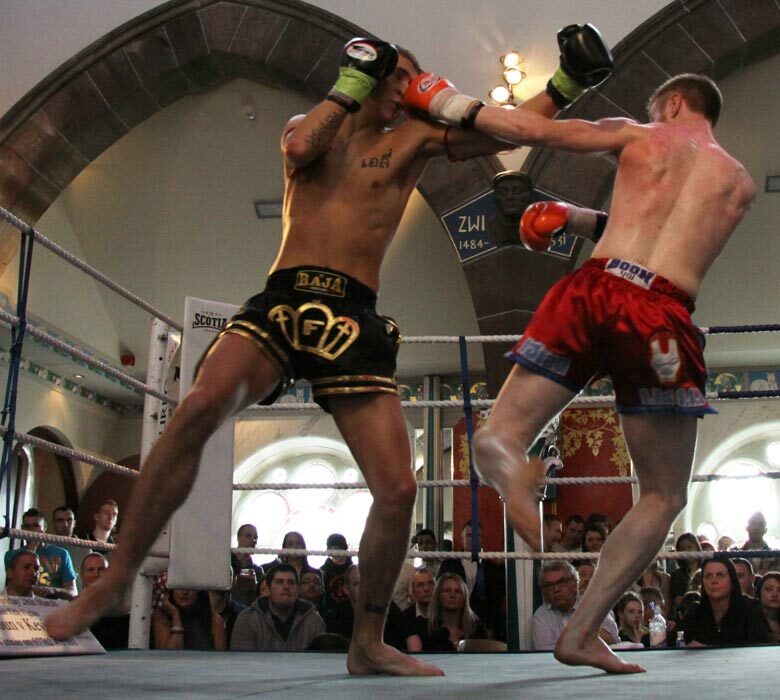 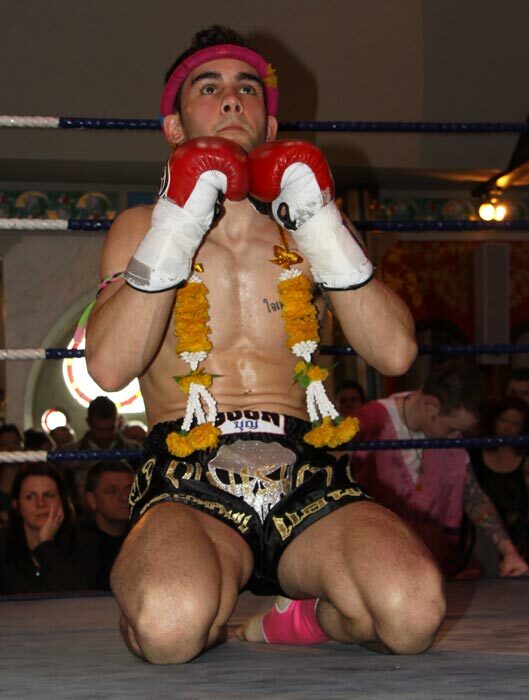 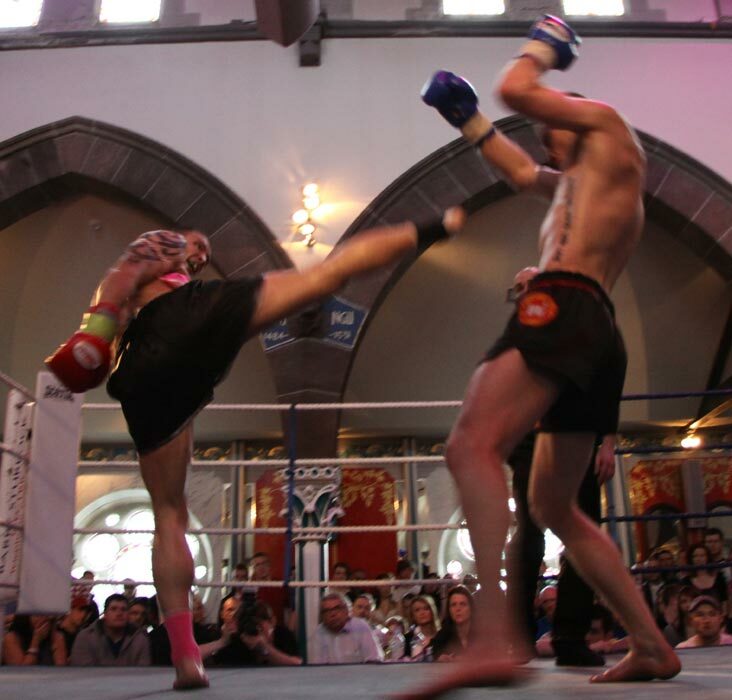 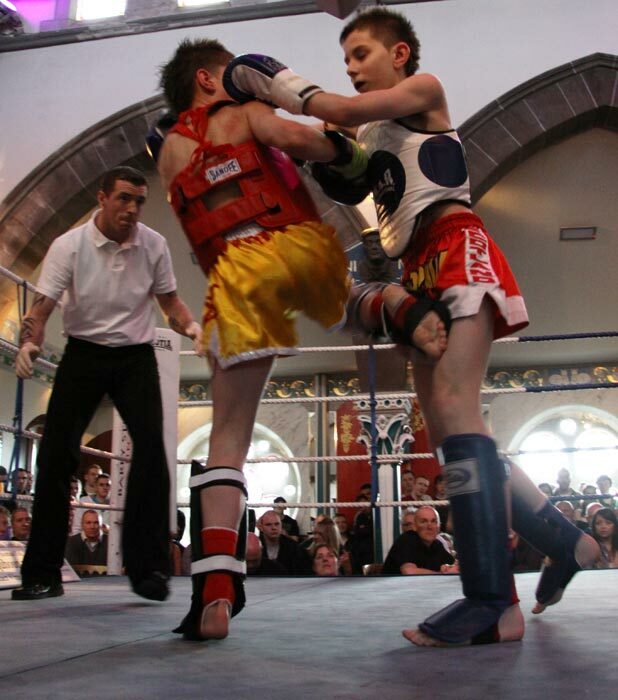 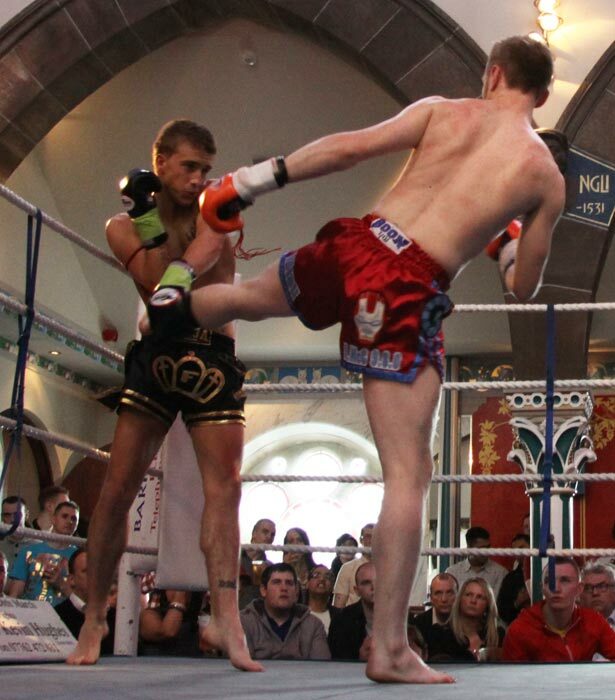 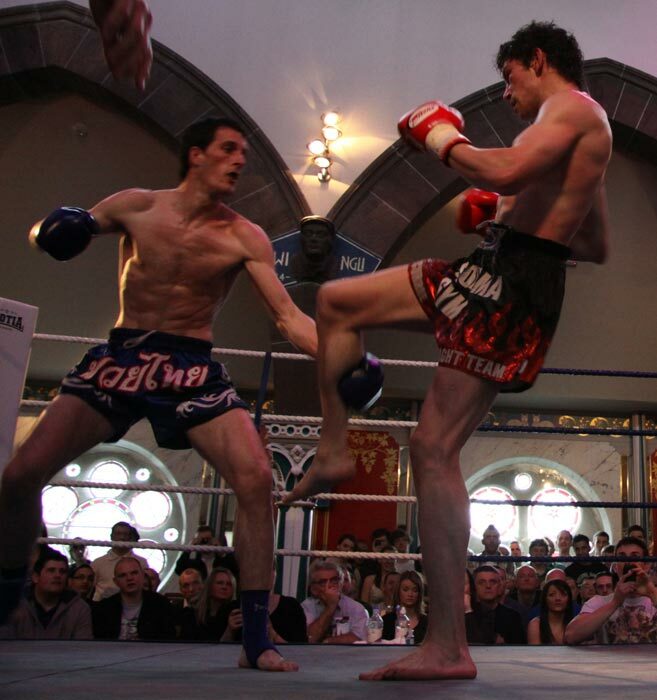 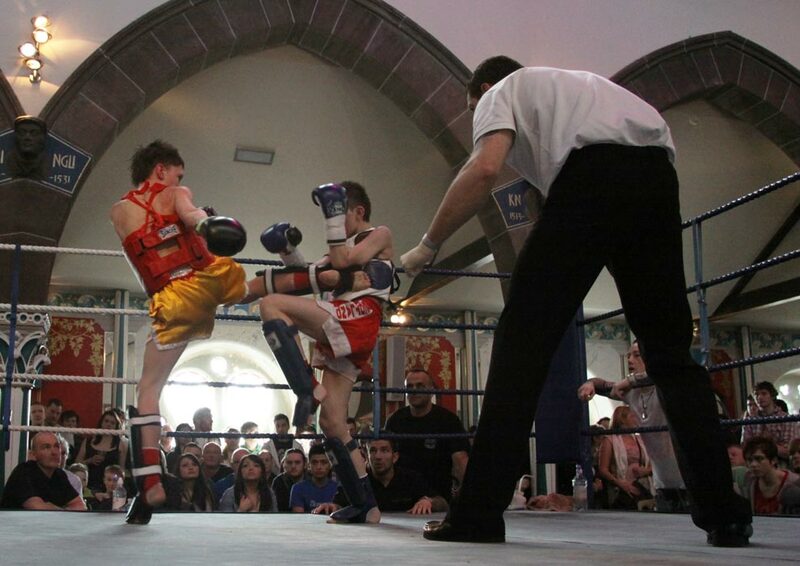 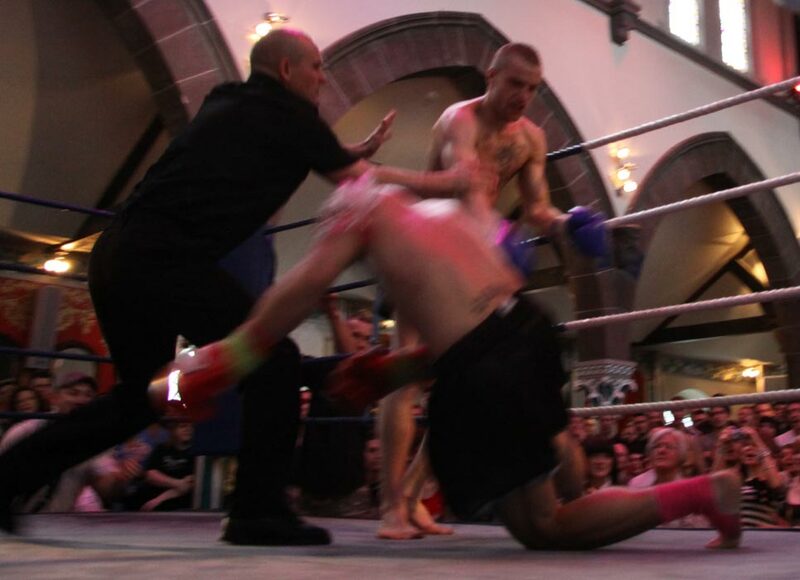 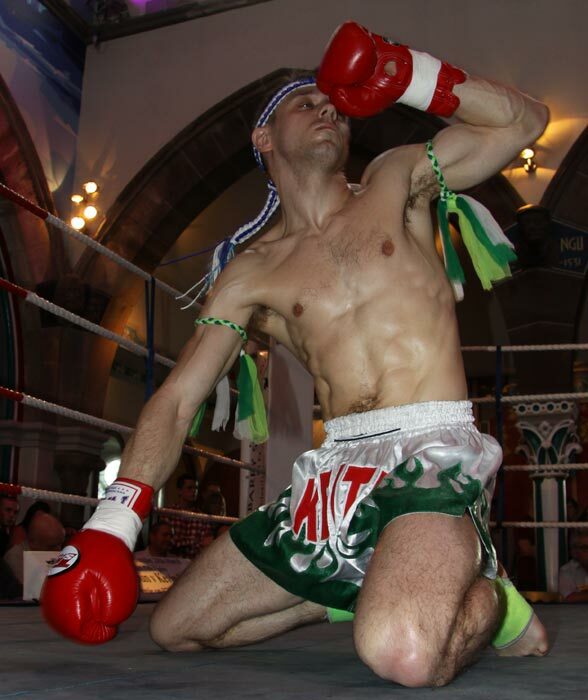 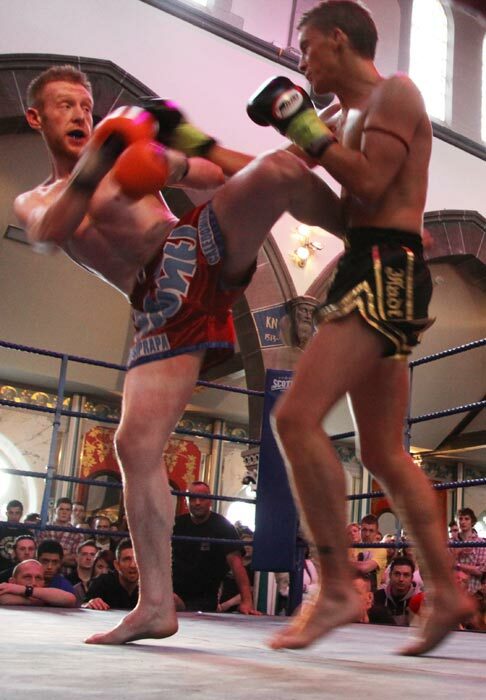 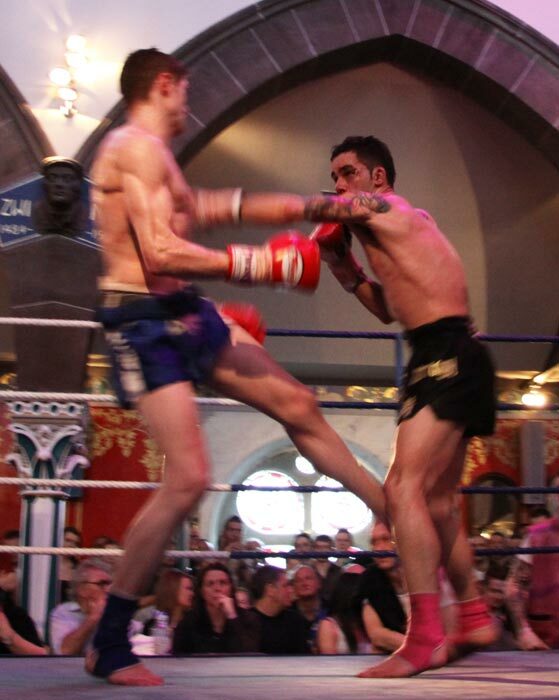 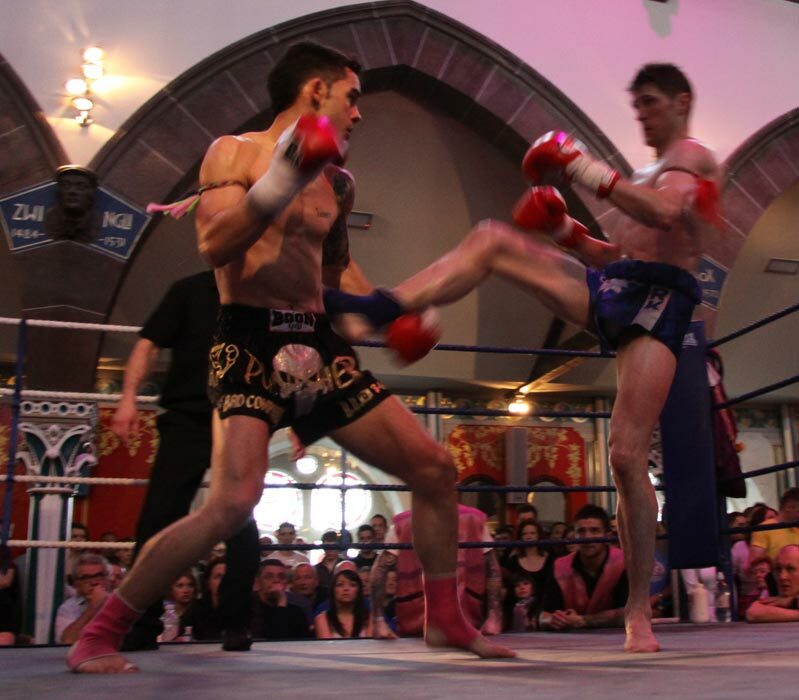 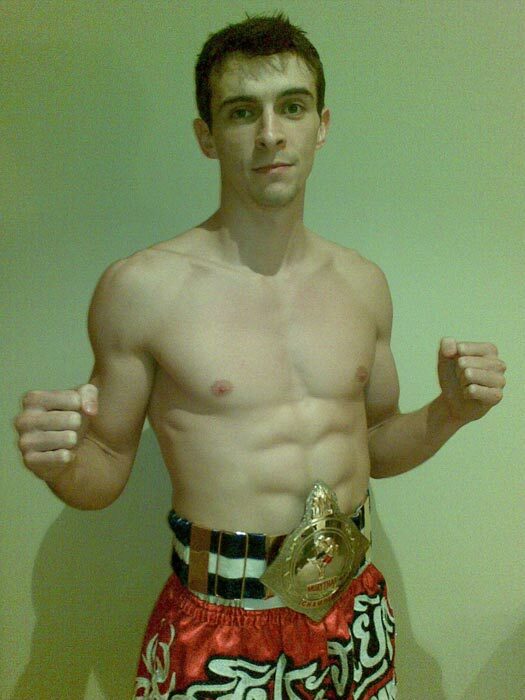 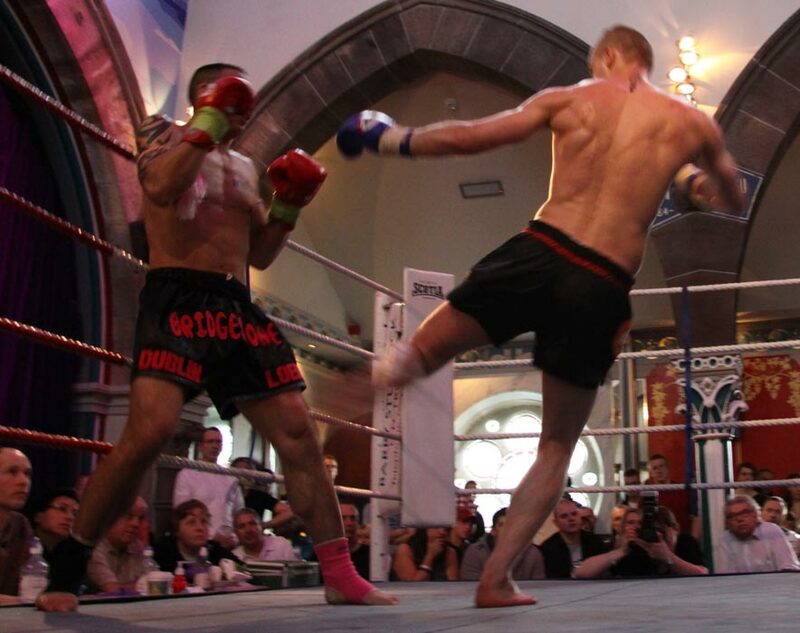 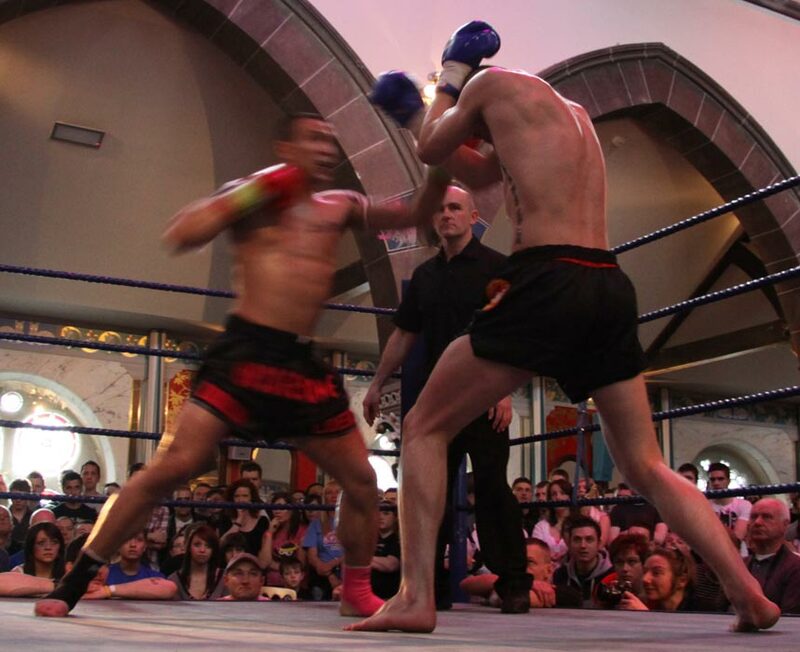 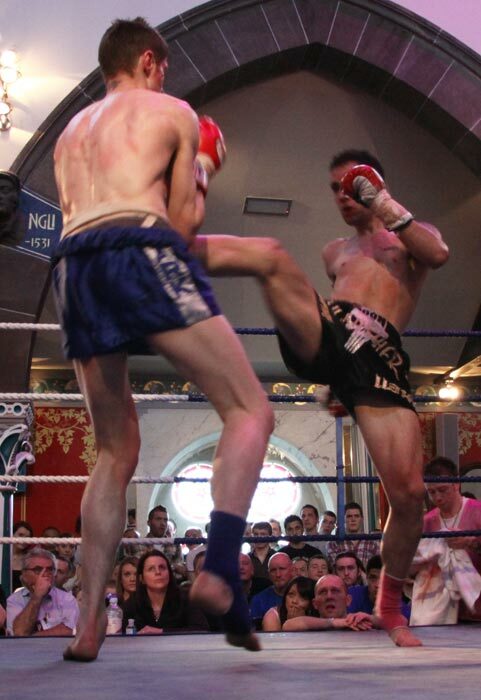 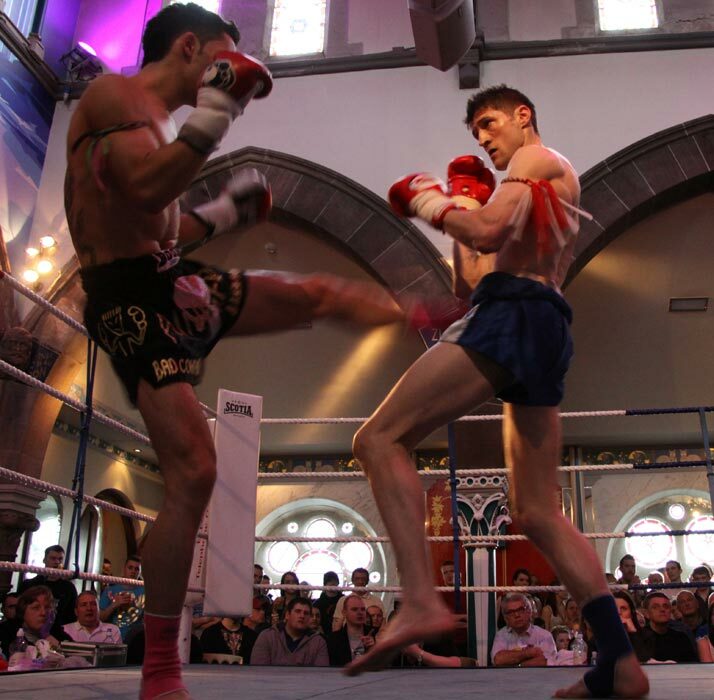 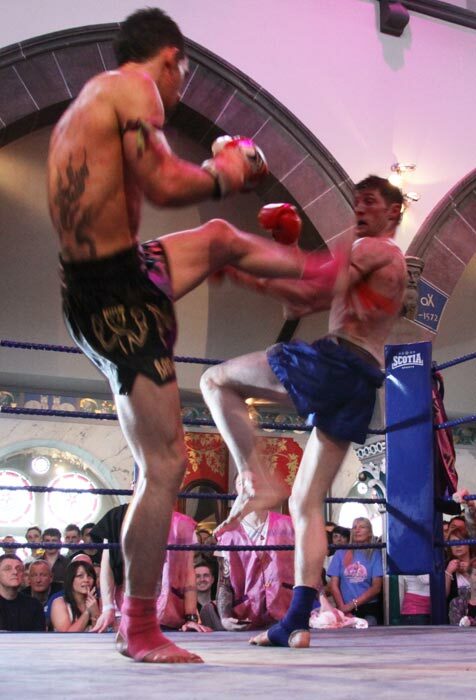 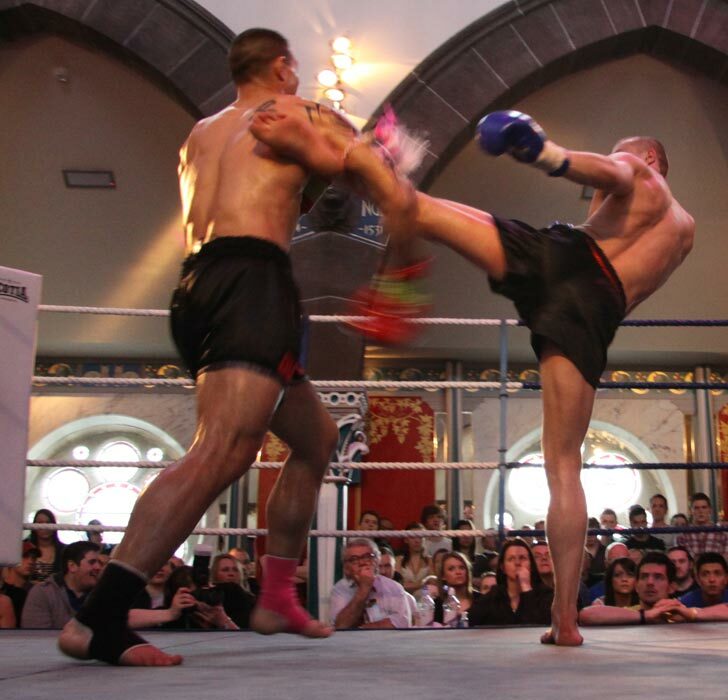 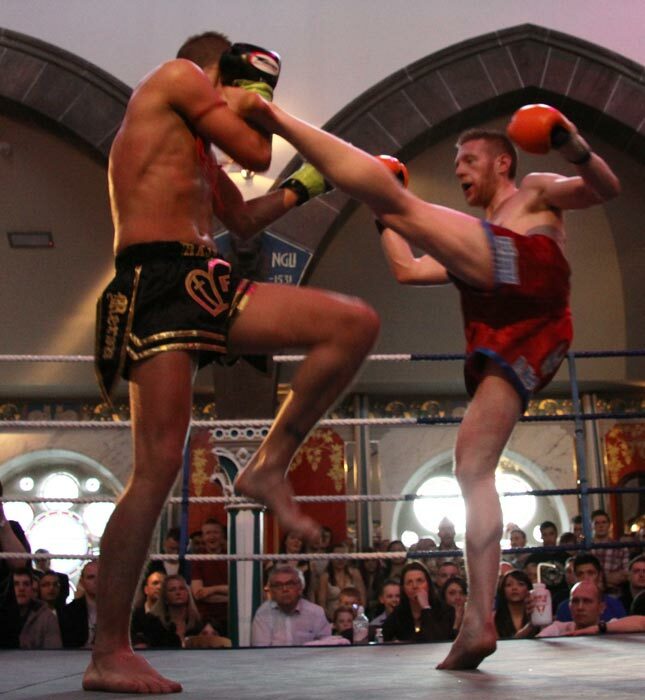 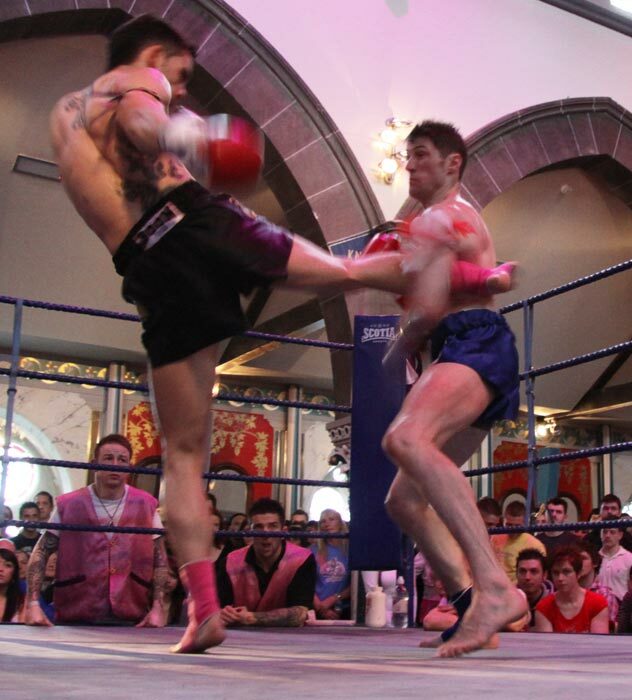 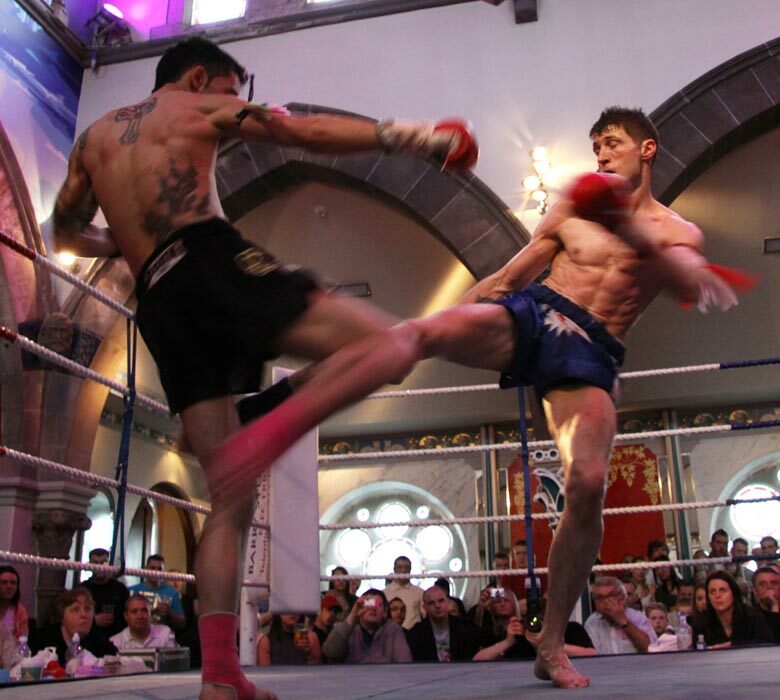 Michael Wiseman built on his recent success at SFC in Stirling and showed accuracy and power with punishing body hooks to stop Tommy. 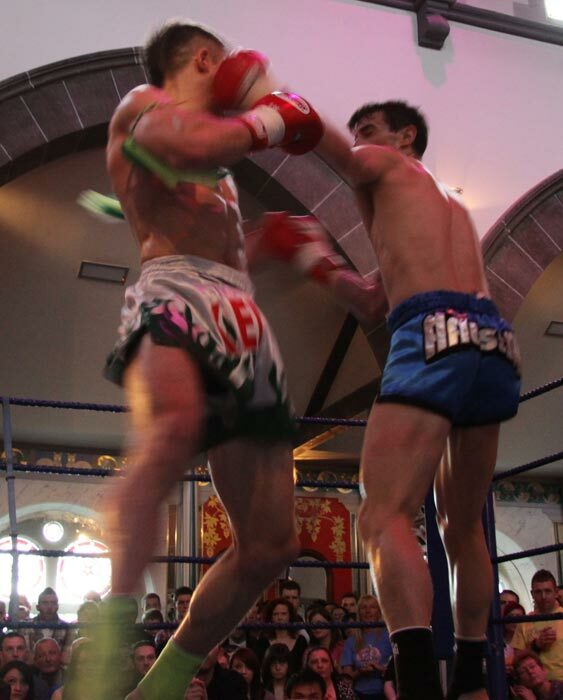 A very measured performance from Brian who kept a strong guard in the face of regular boxing attacks from Mark before countering with crips scoring technique. 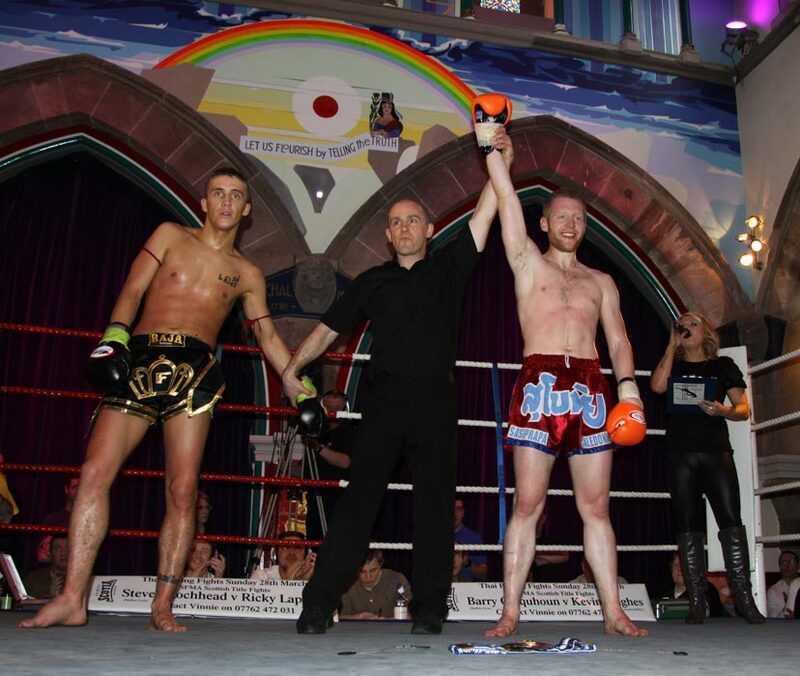 Win to Brian. 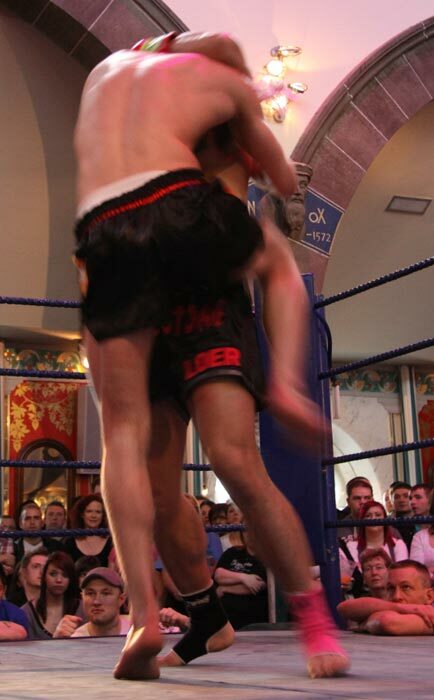 A strong Harris outpowers Junior who fails to come out for the 3rd. 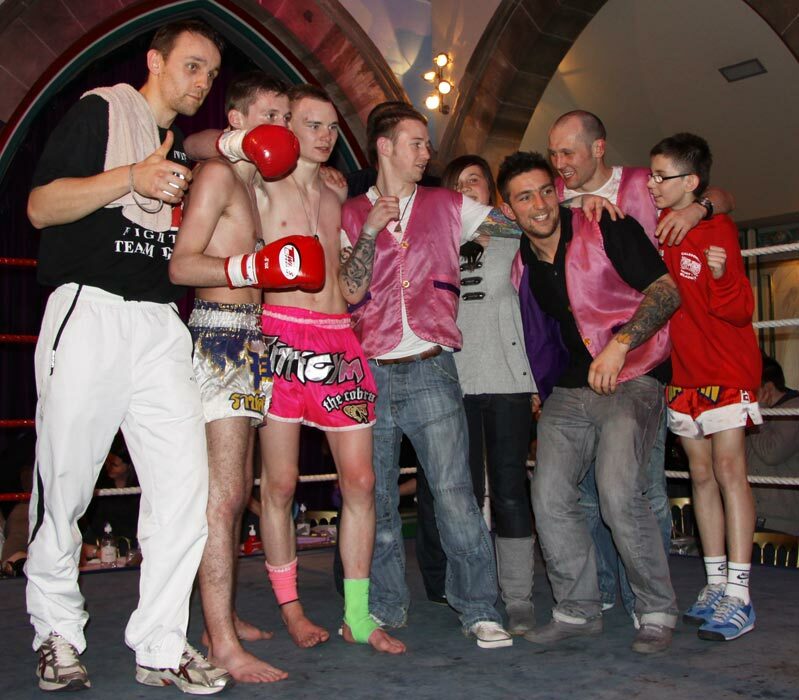 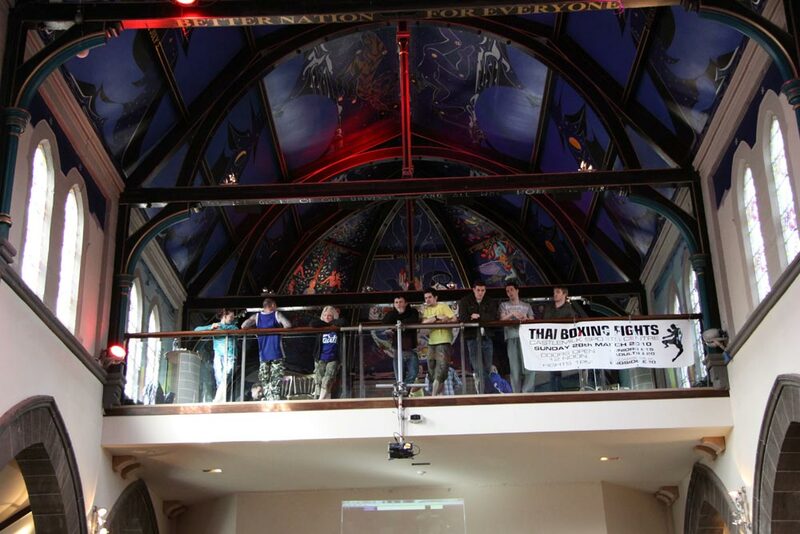 Thanks to our sponsor Steely Wear who were also running a stall in the foyer offering cracking discounts.